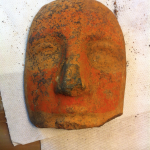 Between February 2014 and February 2016, in the landscape of the Treja Valley, an innovative project of site preservation was funded by the Archaeological Institute of America. Here, in the ancient Ager Faliscus, the land of the Faliscans, in 1890 the town of Narce was discovered, surrounded by thousands of tombs in different cemeteries. 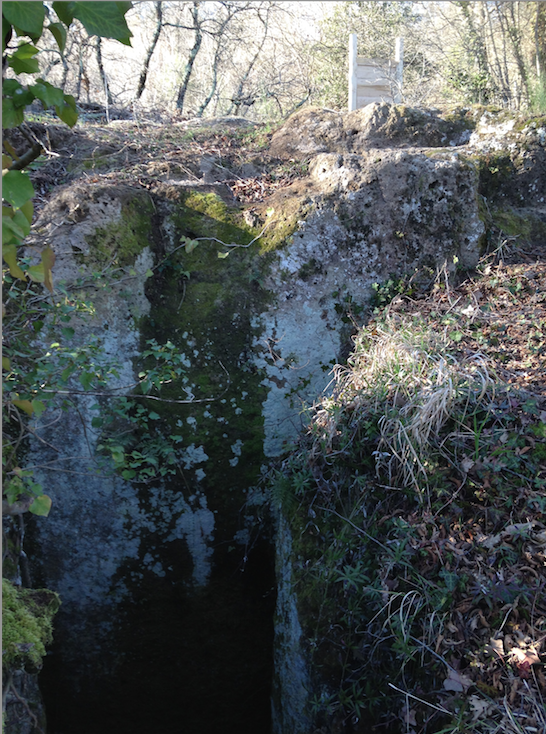 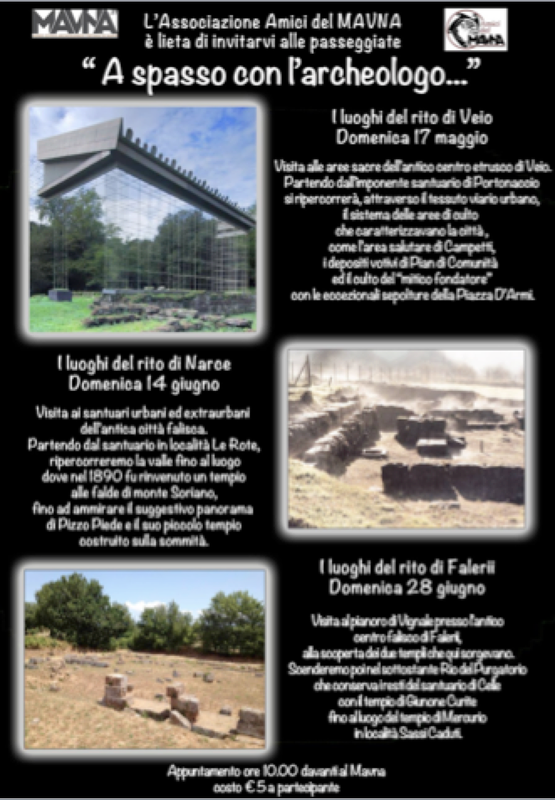 The necropolis of La Petrina, with tombs from the 8th to the 4th century BC, near the cliff made of volcanic rocks, was abandoned and in the area toxic and dangerous waste was thrown, destroying this beautiful landscape.This abandonment called for the involvement of the local community of the modern village of Mazzano Romano in the preservation of their archaeological site. 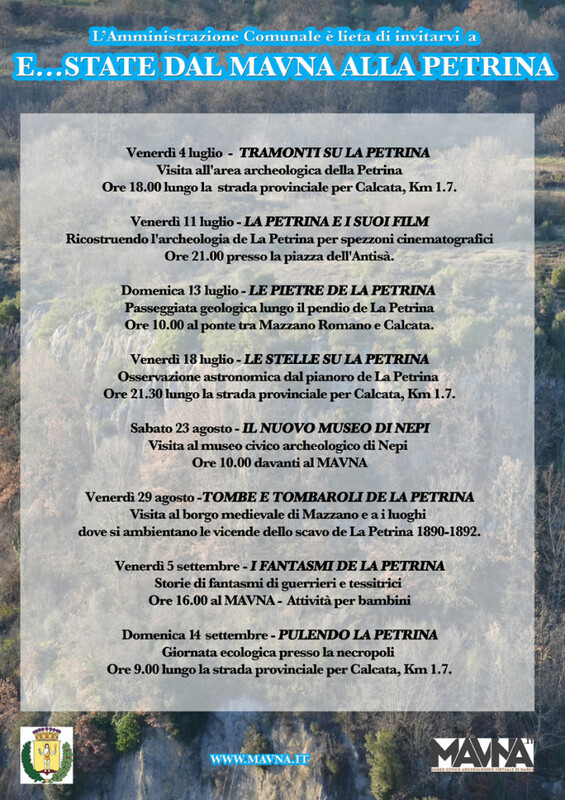 Visitors have been able for the first time to visit this unique exhibition of La Petrina (most of these tomb-groups are now lost) understanding the importance for the history of the Italian archaeology. 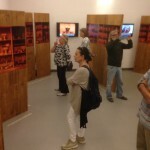 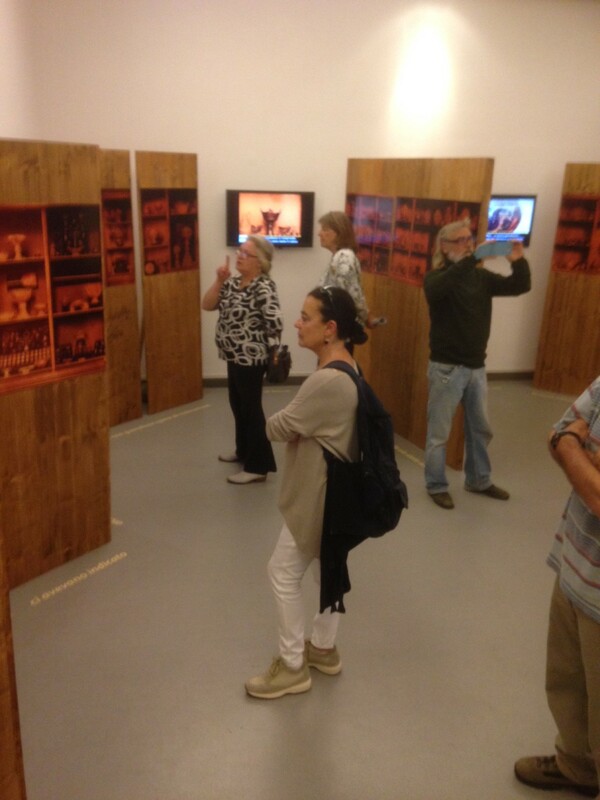 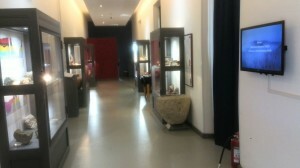 More than one thousand visitors saw the exhibition. 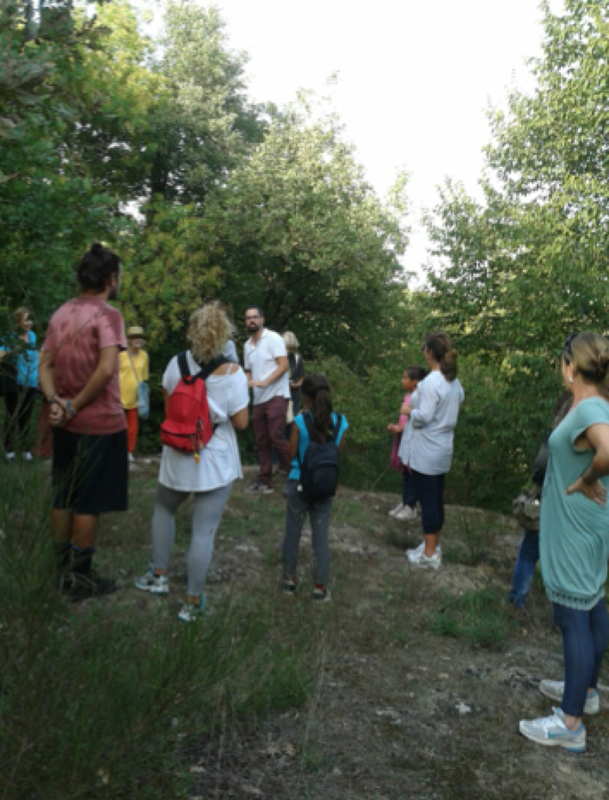 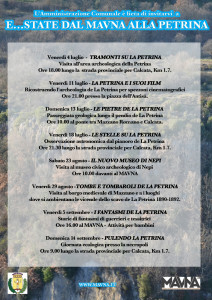 From the visits to the site for the community during the summer to the geological survey of the region [Petrina in Italian means “small stone” and testifies the presence of several sarcophagi appearing over the surface of the hill], to the night lectures about the site, a large part of the local community as well as scholars and visitors had the opportunity to visit to the site. 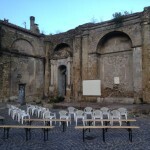 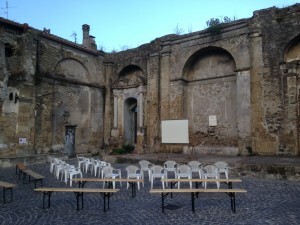 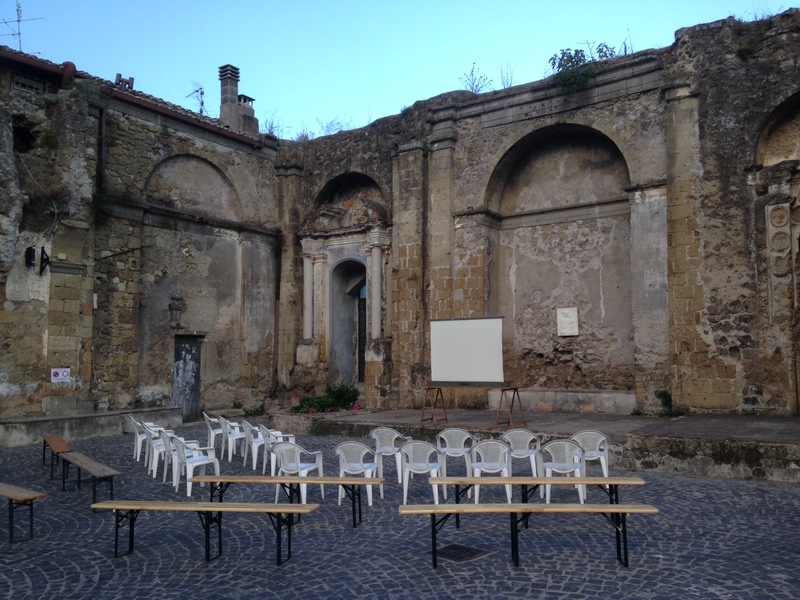 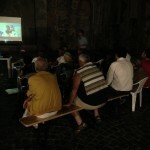 In particular the evening lecture on the “spaghetti-western movies” set at la Petrina necropolis took place in the abandoned church of San Nicola in the medieval center of Mazzano Romano and had a great impact. 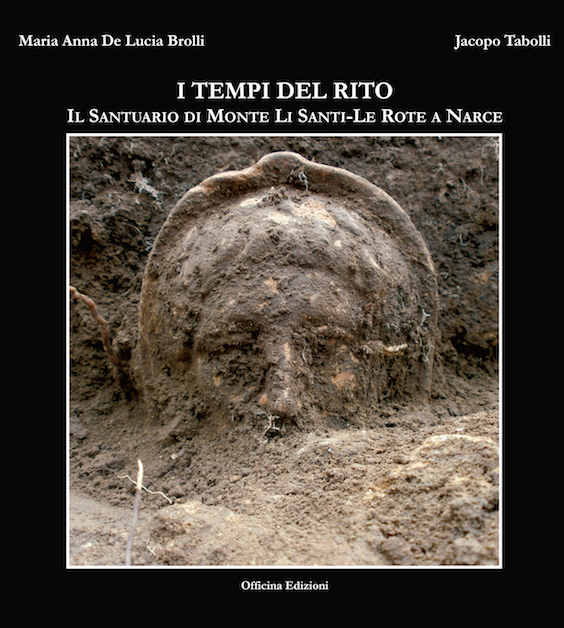 In this lecture we used different parts of selected movies to narrate the archaeological record of the necropolis. 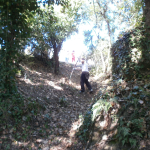 The path is now for the first time accessible in its ancient course and the funerary altar has also been cleaned revealing tombs (already looted) on all its four sides. 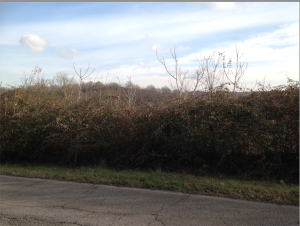 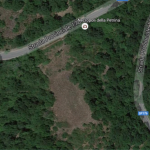 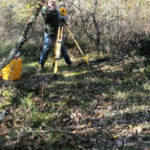 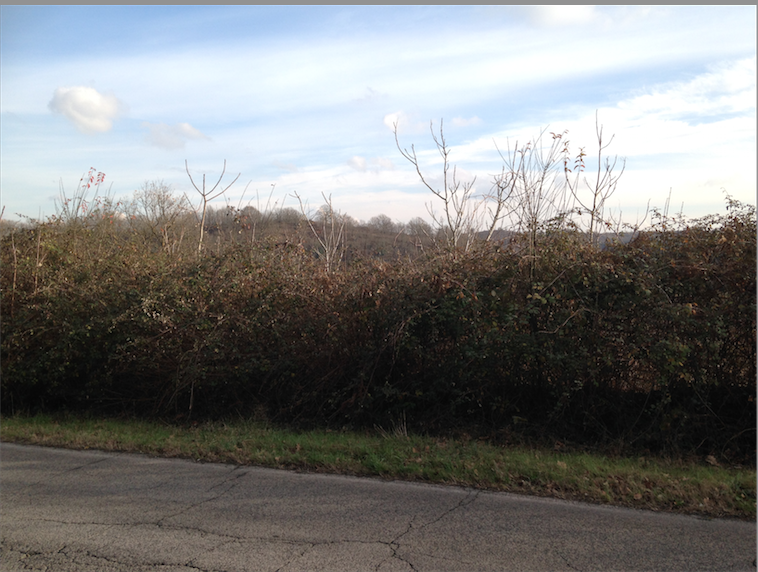 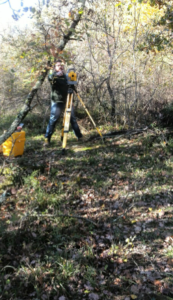 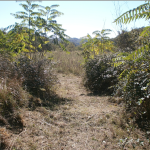 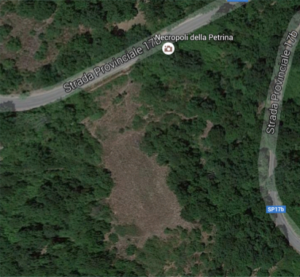 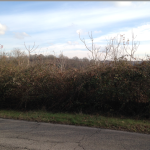 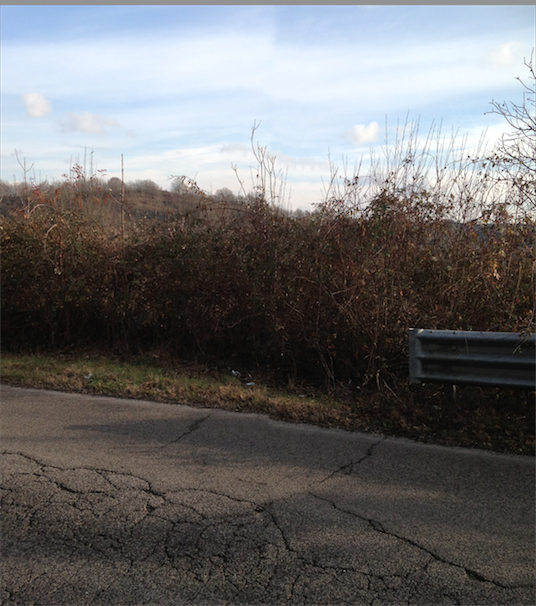 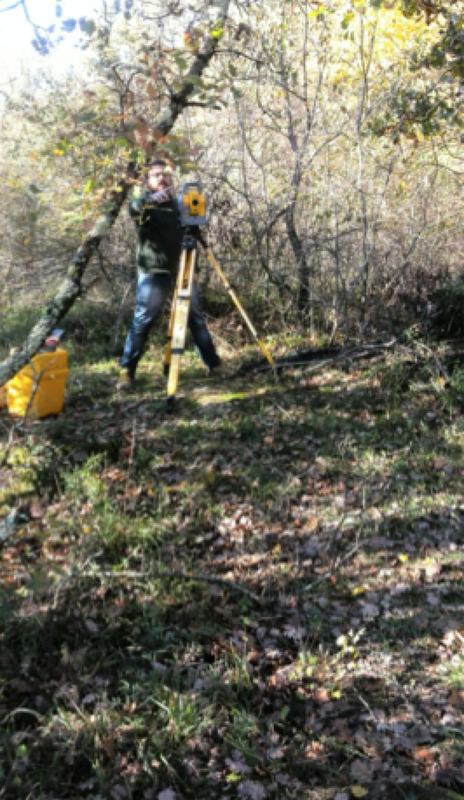 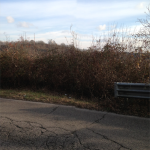 At the same time, in collaboration with the Municipality of Mazzano Romano, it was possible to survey the entire slope, redefining the cadastral map. 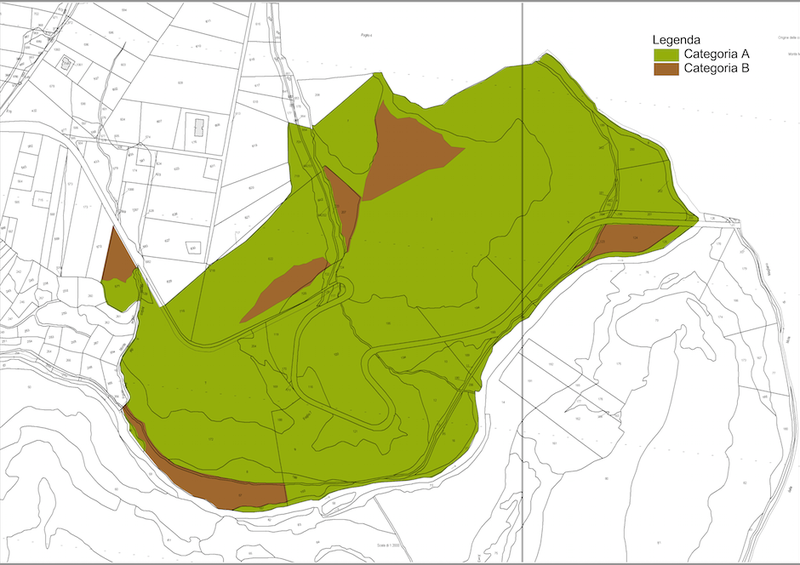 The areas in green on the map have now been declared as part of a larger “preservation of landscape” strategy as an effect of our ANP. 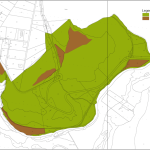 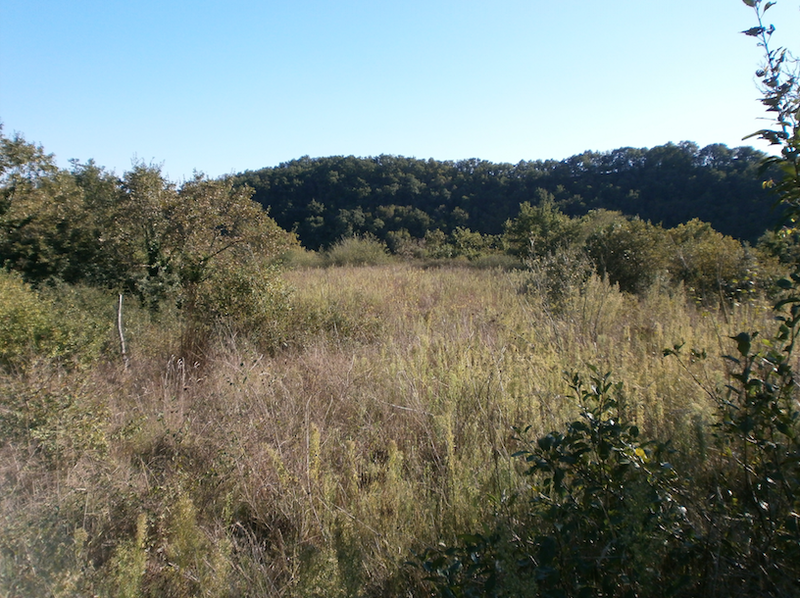 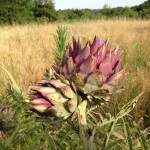 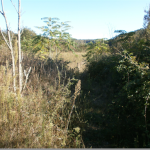 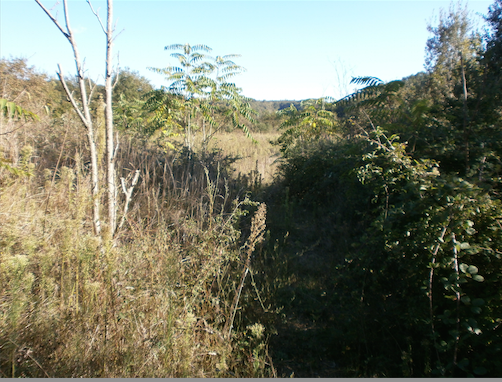 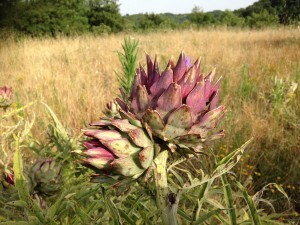 Plots 7, 188, 169, and 204 make up the core of our Site Preservation Project. 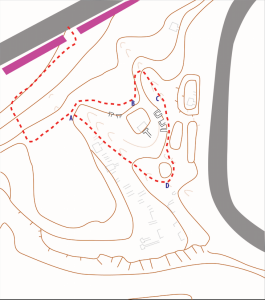 This new map permitted also to place “virtually” the panels with the explanations for visitors with the history of the necropolis on the site before the official beginning of the realization of the fence. 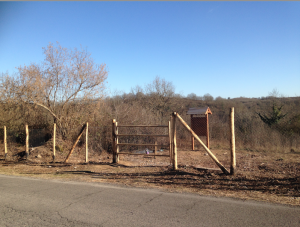 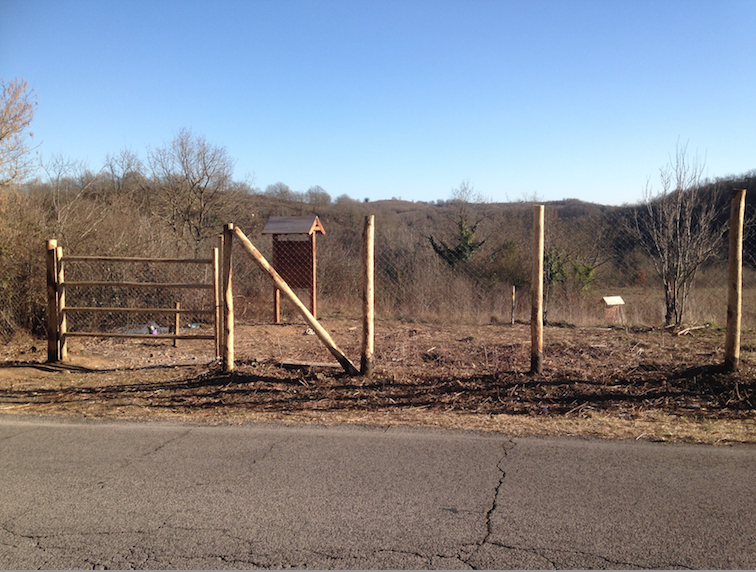 In these months, we have focused on the creation of the fence. 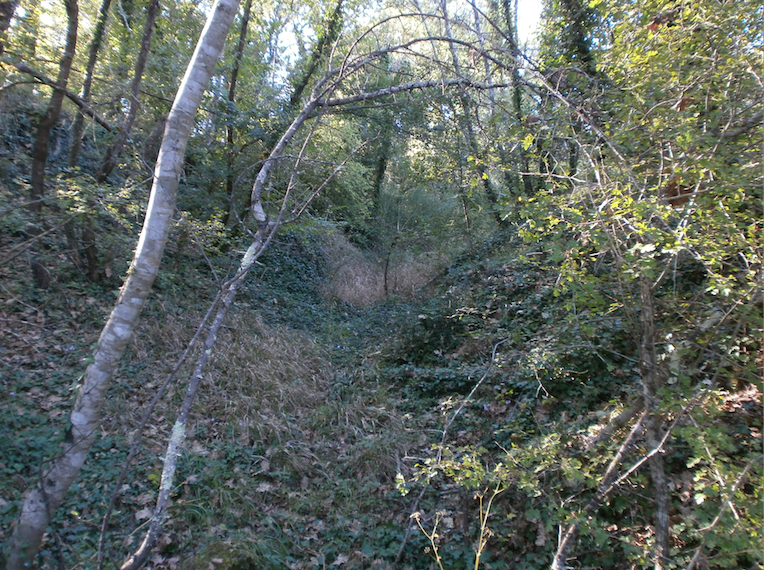 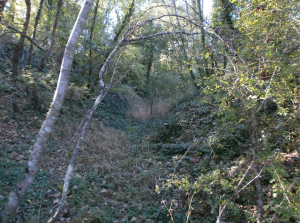 Before the beginning of the projects, especially the area facing the provincial road has always been unprotected, functioning as a sort of an “open gate” to the tomb looters and to illegal visitors, who used the site to throw their trash, transforming the necropolis into a rubbish dump. 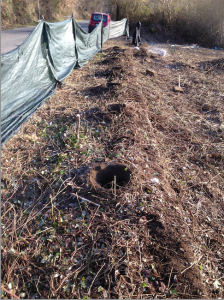 Infesting weeds have been growing for ages on the side of the street. 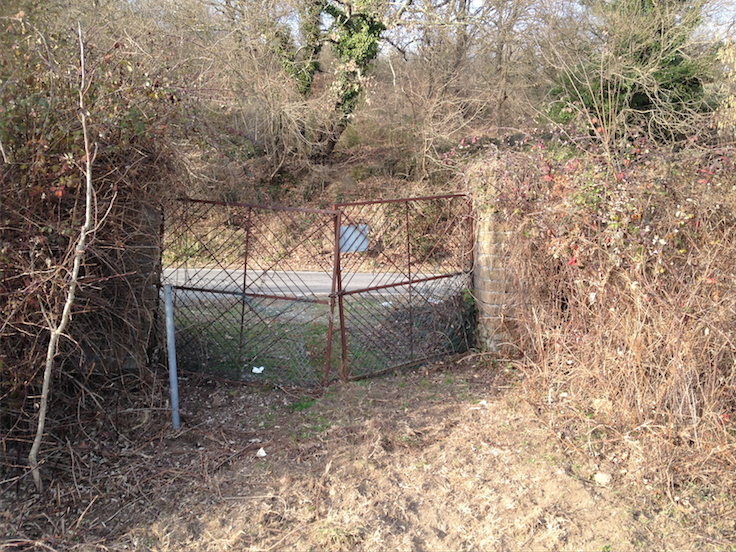 The old entrance was falling apart, since nobody controlled the keys of its padlock and it was easy (as well as dangerous) for everyone to climb it or to pass through its rusty bars. 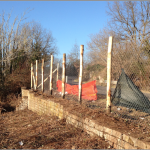 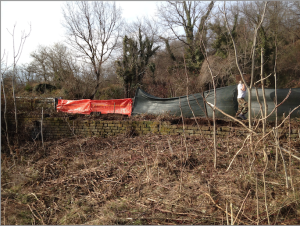 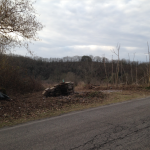 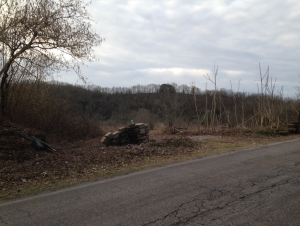 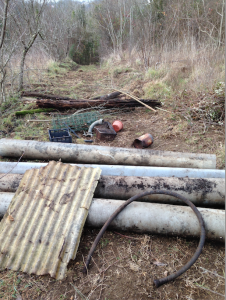 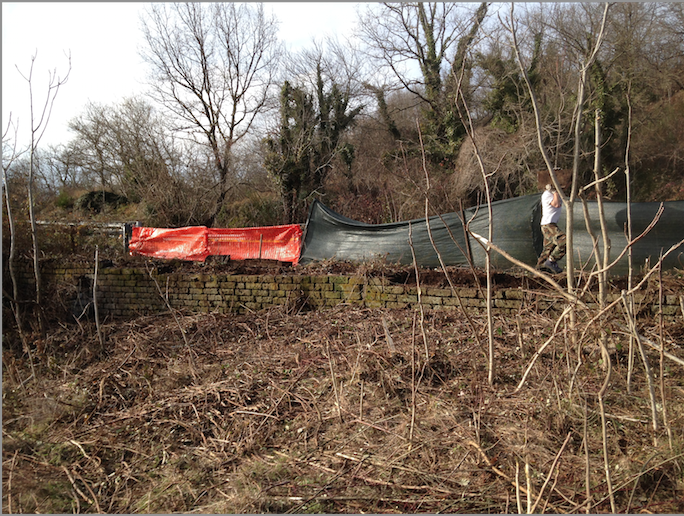 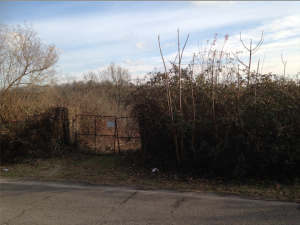 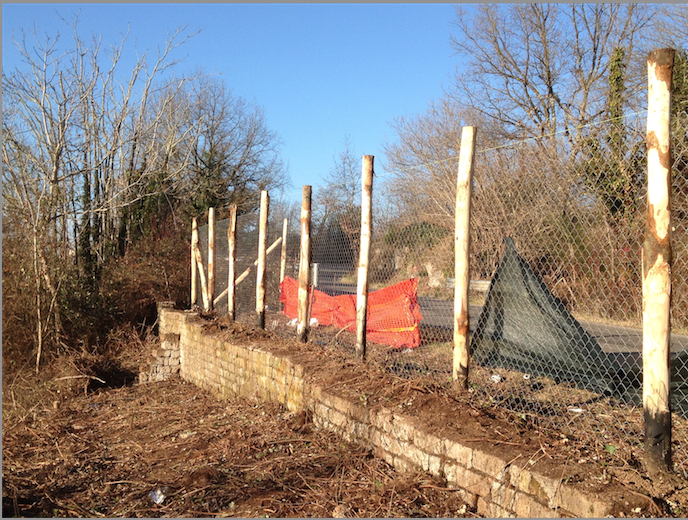 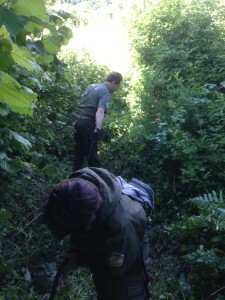 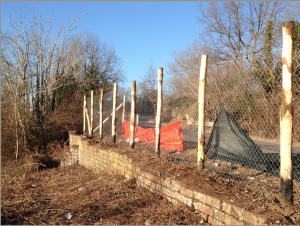 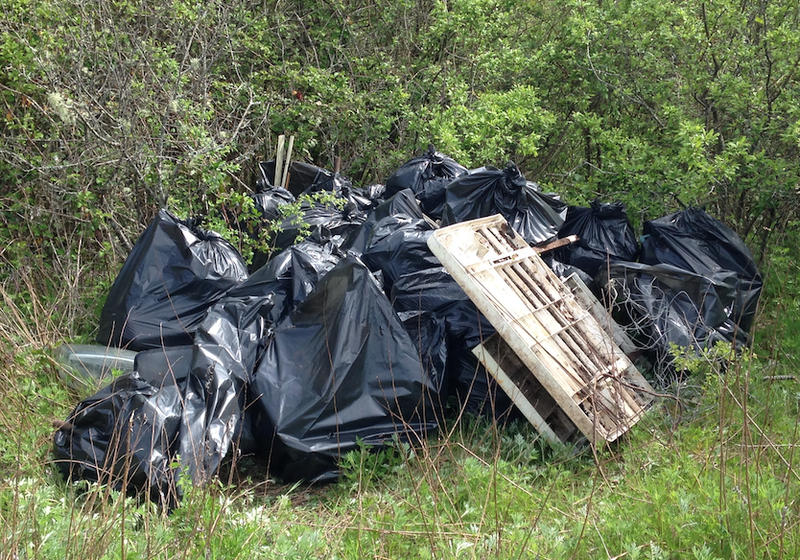 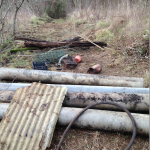 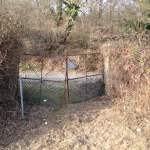 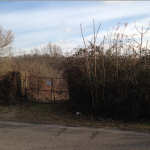 The first part of activities related to the fence consisted of the identification and removal of the trash, including, unfortunately, also dangerous “eternit” (asbestos cement), which has been properly discarded, according to current Italian law. 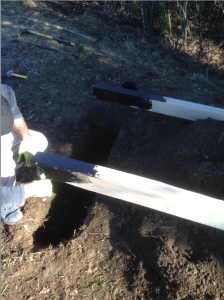 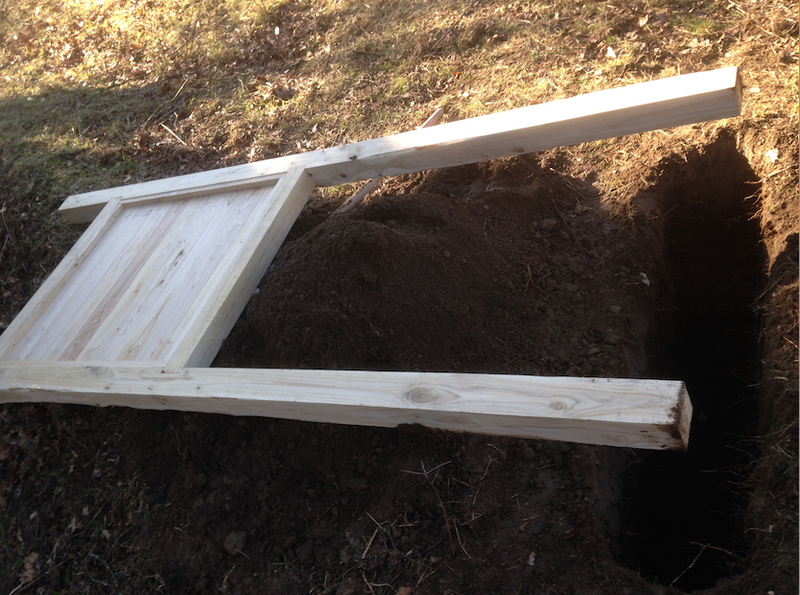 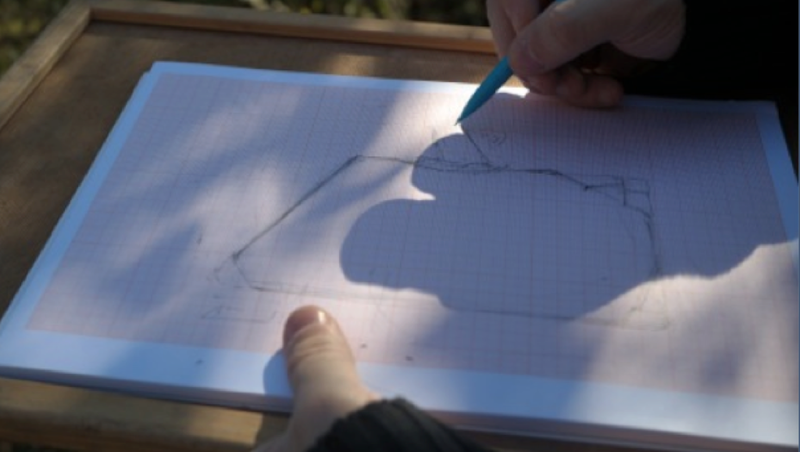 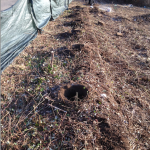 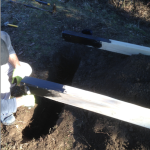 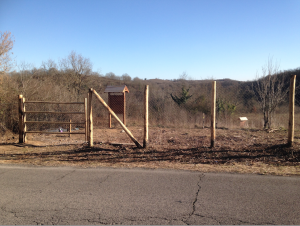 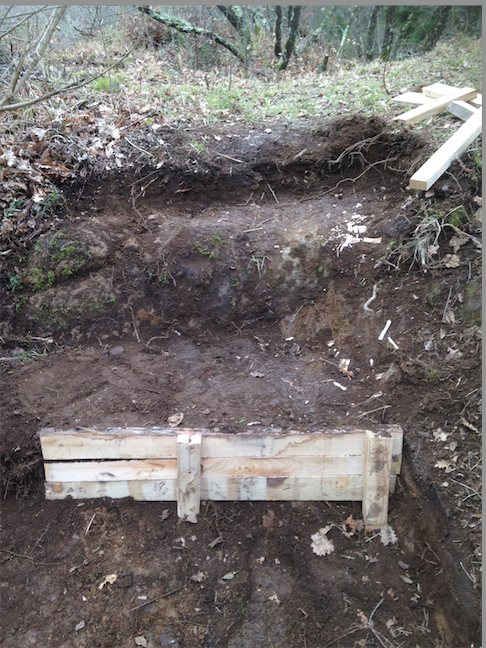 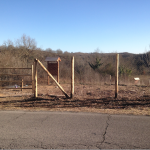 Once the entire area was cleaned, we traced the orientation of the new fence. 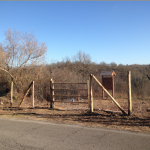 According to the guidelines suggested by the Regional Park Valle del Treja, the entire fence has been made only of wood. 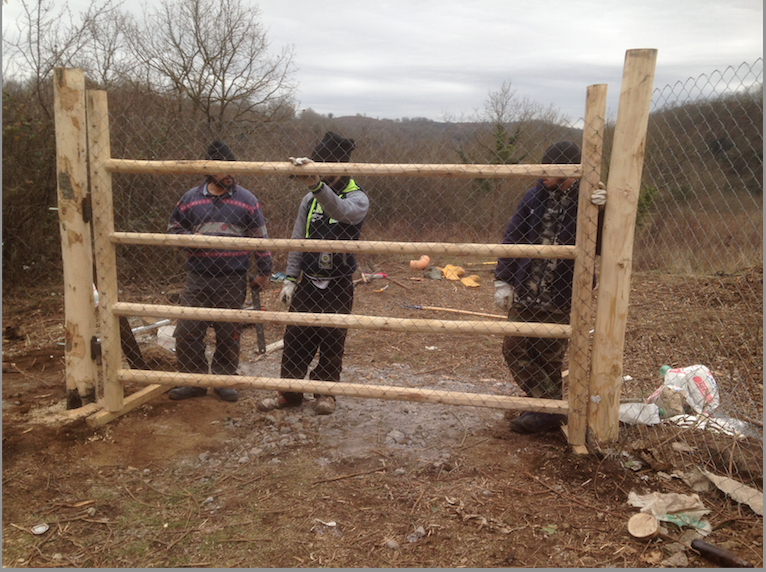 Also the new gate, as well as all the different stairs and panels on the site have also been made of wood. 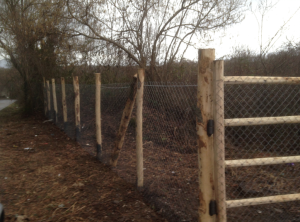 The grid of the fence is made of aluminum. 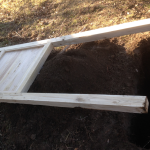 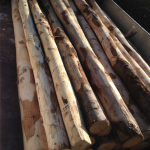 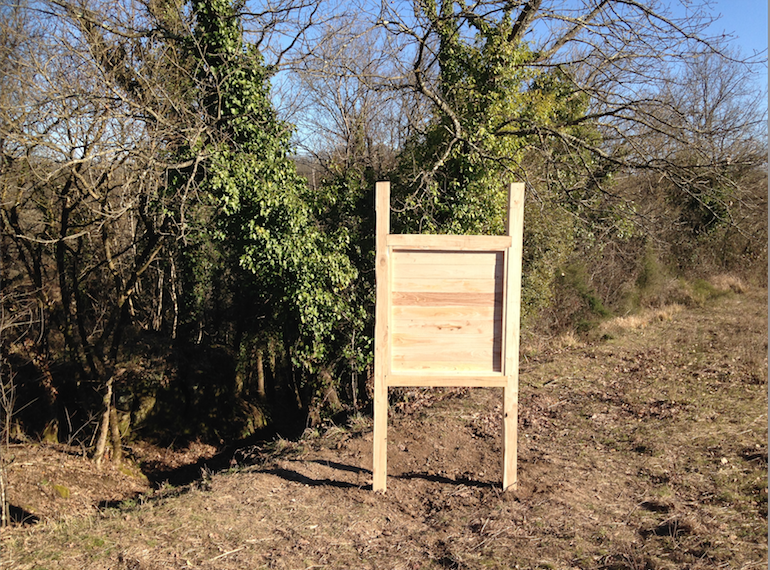 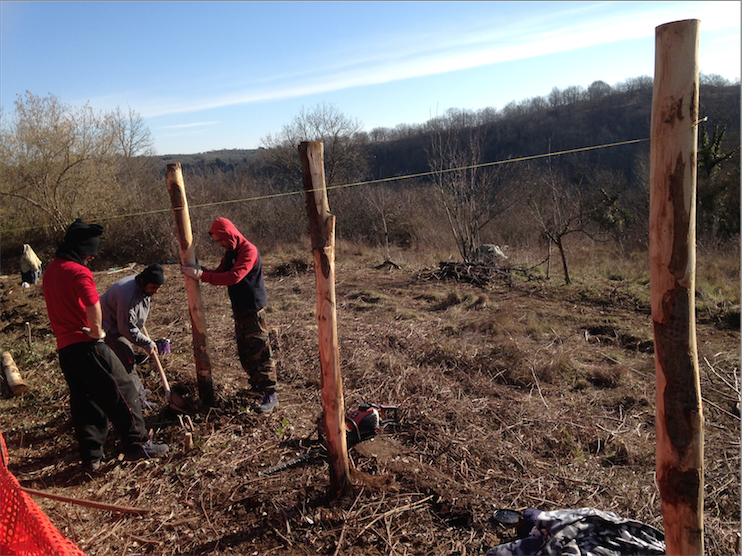 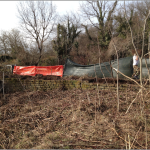 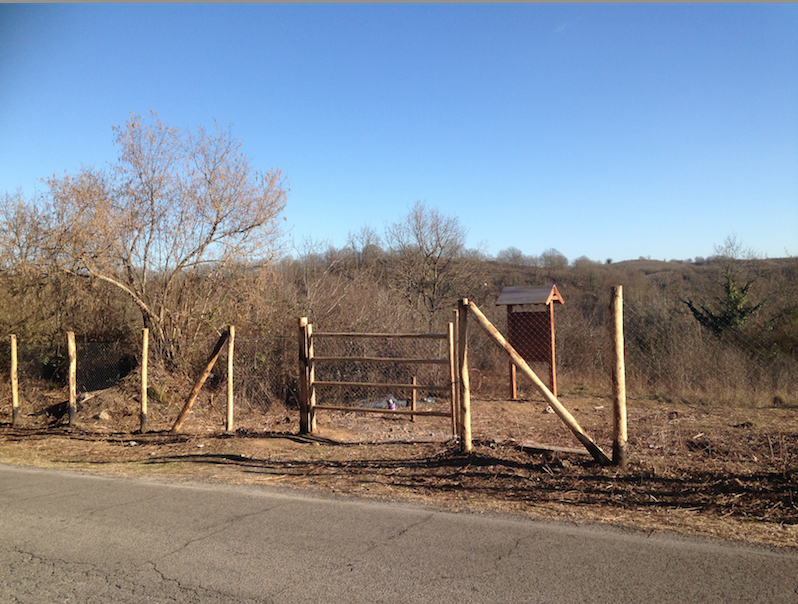 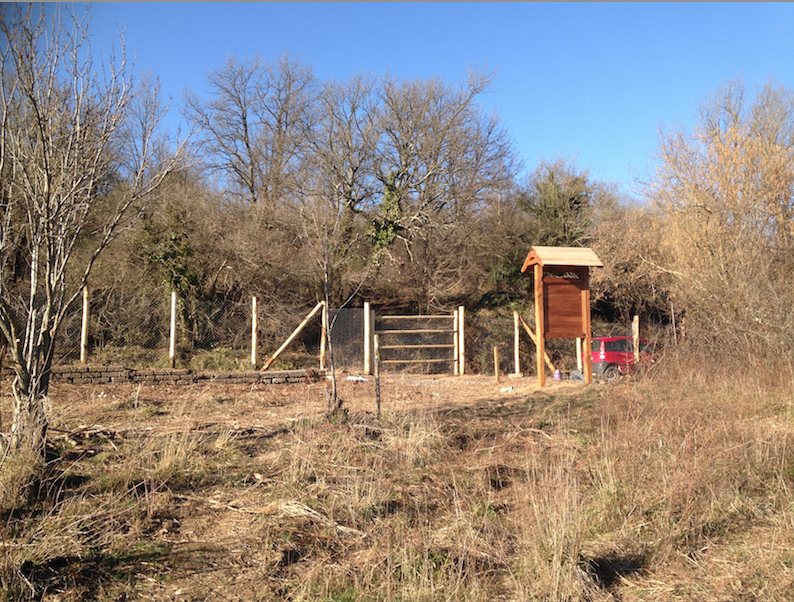 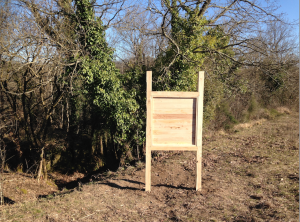 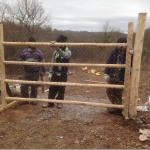 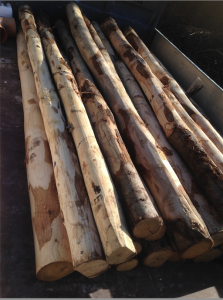 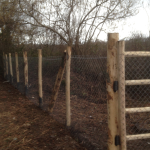 Together with the realization of the new fence, we have been working on the creation of the panels. 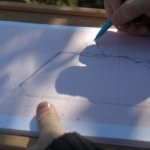 A gabled roof protects each panel. 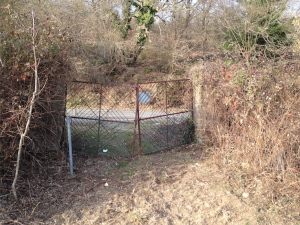 The panel at the gate to the necropolis has been placed behind the fence in order to protect it from the frequent local acts of vandalism. 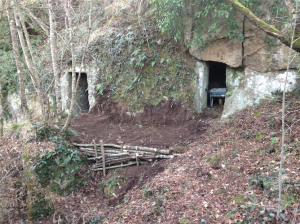 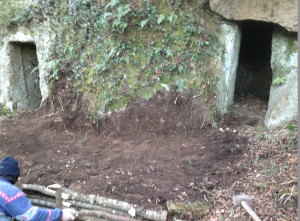 After the interior cleaning of the three selected chamber tombs, we have been working in front of them in order to realize a natural trail allowing visitors to walk near the facades. 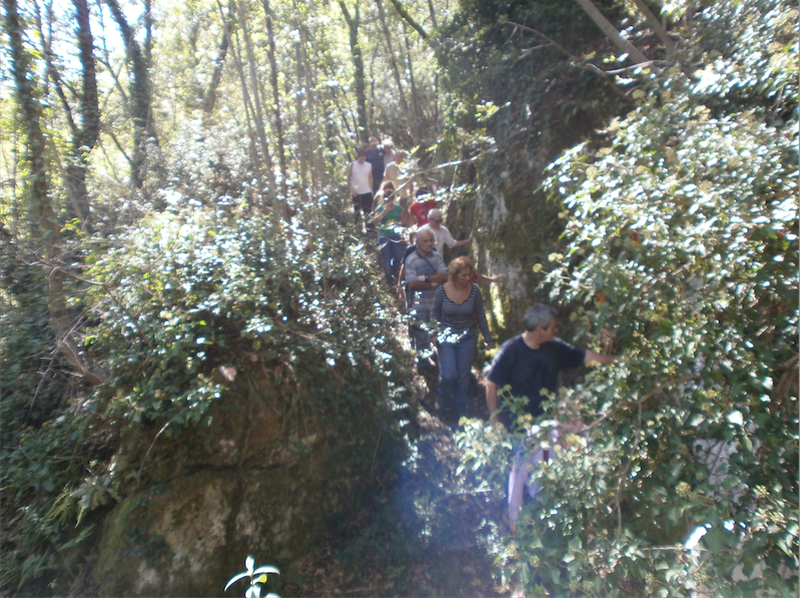 The Regional Park Valle del Treja suggested to use only branches of deciduous forest in order to preserve the original aspect of the forest. 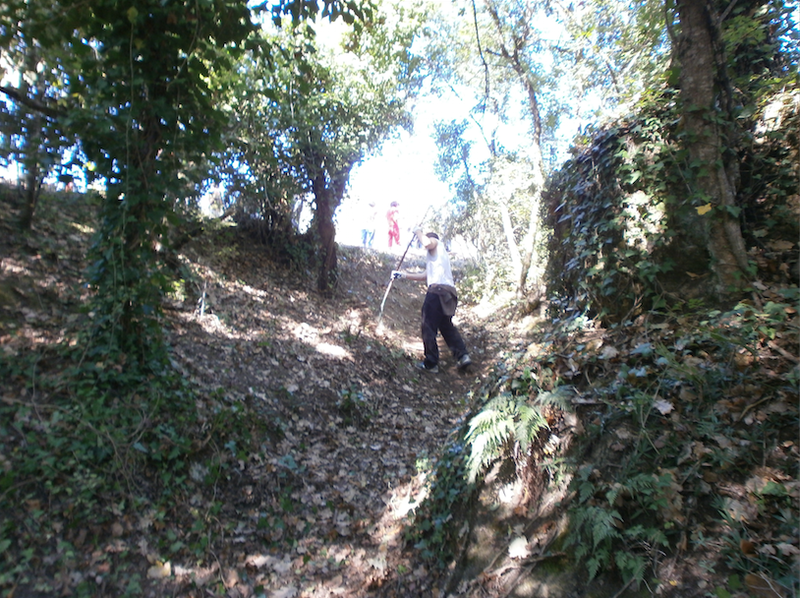 Part of the path around the tombs and the rock-cut funerary altar uses the ancient stairs, which were visible in the ancient mortuary landscape. 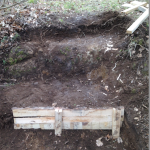 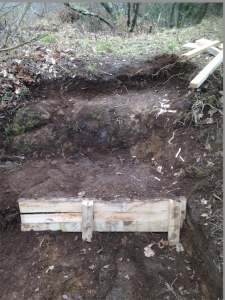 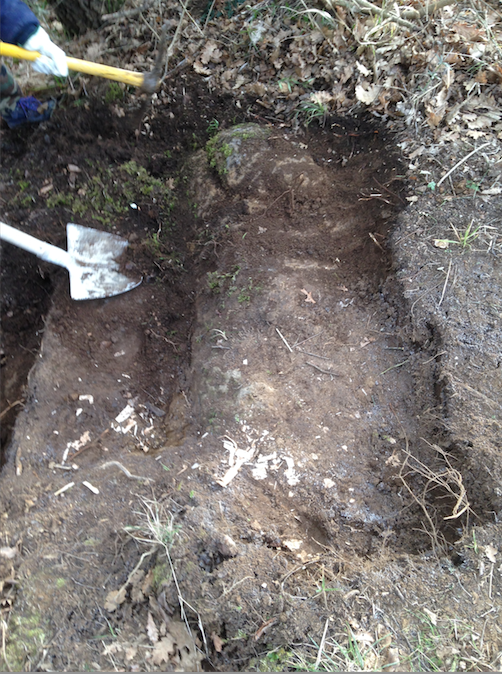 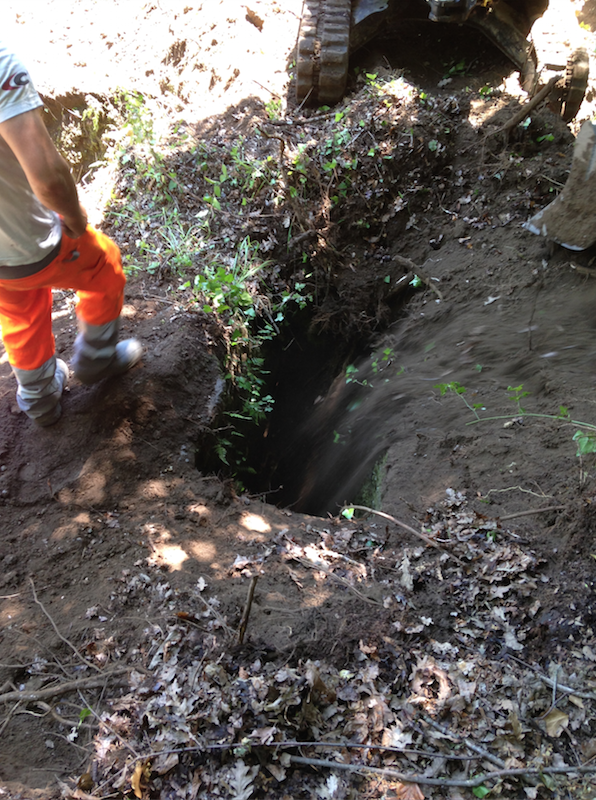 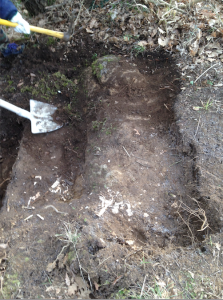 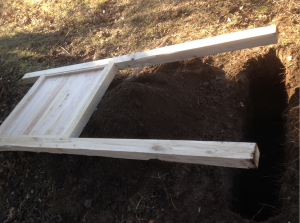 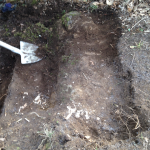 Dangerous holes made by tomb looters were finally backfilled using the soil resulting from the cleaning of the path. 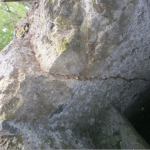 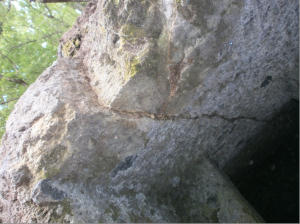 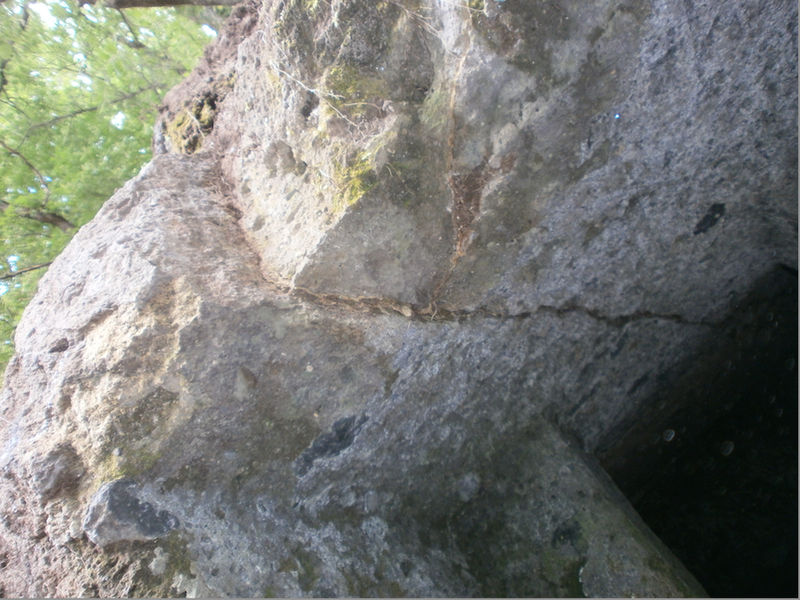 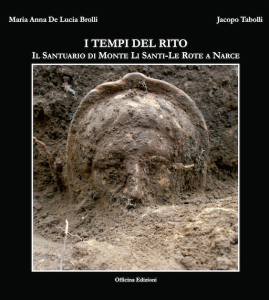 Together with the conservators from the Istituto Superiore per la Conservazione e il Restauro (Institute for Conservation) we have also been monitoring the cracks in the natural tufa bedrock and especially on the architraves of the tombs as well as the growing of plants and movement of roots in the tufa. 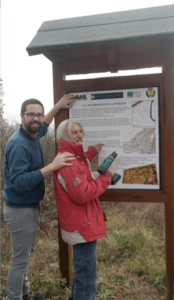 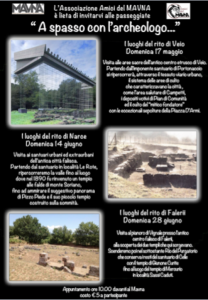 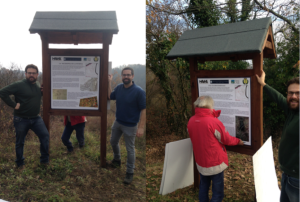 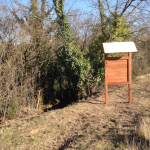 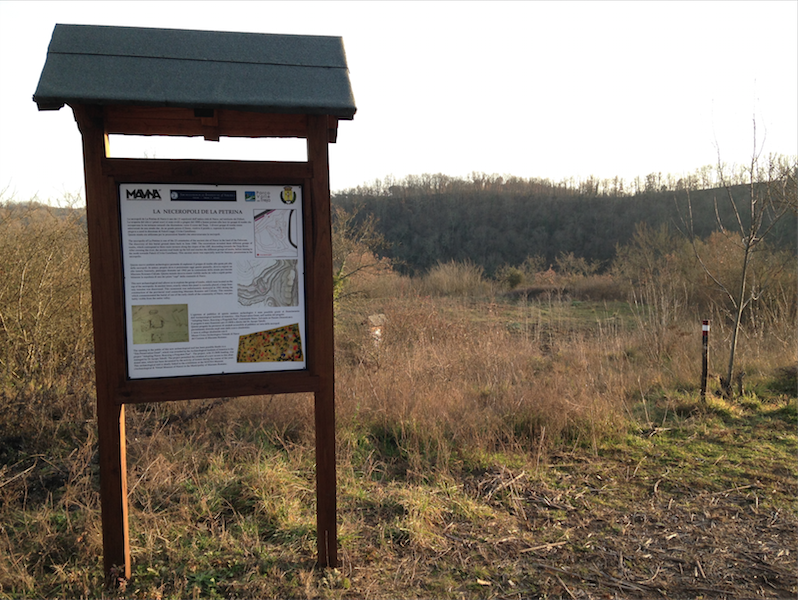 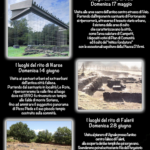 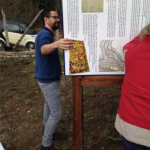 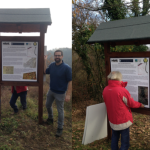 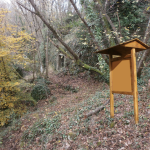 It is important to mention that all the activities have been planned together with the Regional Park Valle del Treja and the Soprintendenza per I Beni Archeologici dell’Etruria Meridionale, for the Ministry of Culture and Tourism. 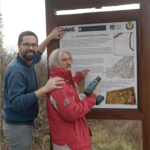 In addition, since its initial proposition, part of the ANP has been devoted to the creation of an association of volunteers who will be responsible for the maintenance of the site after the end of the two-year project. 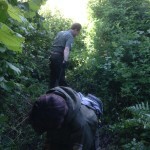 We have selected a small number of volunteers (15). 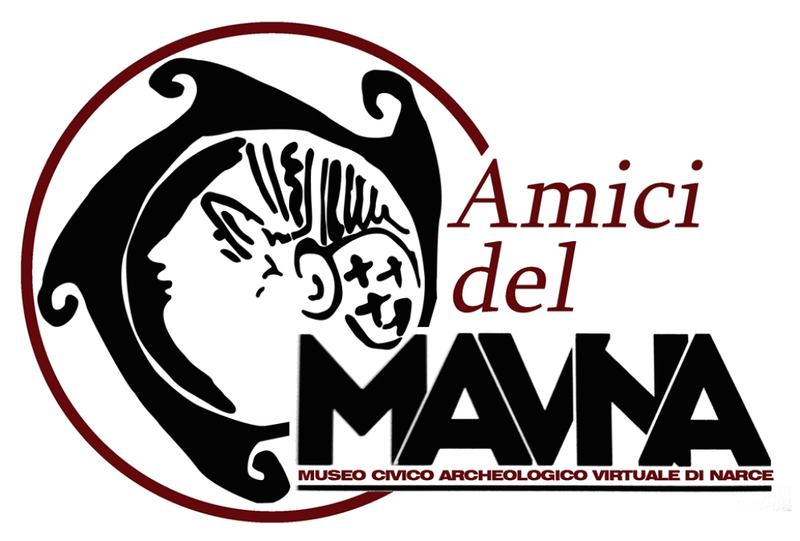 After a period of training in the MAVNA museum, they have constituted in March 2015 the association “Amici del MAVNA” (“Friends of MAVNA”). 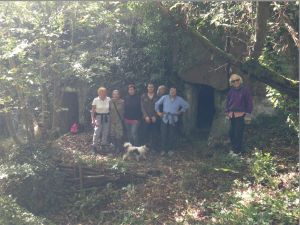 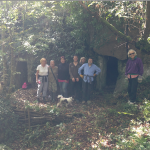 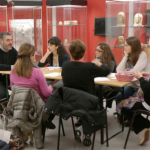 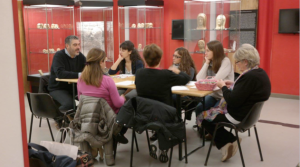 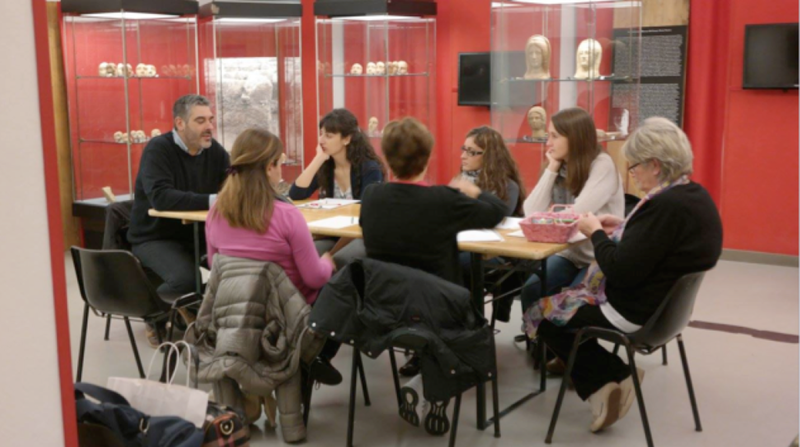 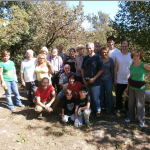 The association of volunteers mainly consists of archaeologists (BA and MA), conservators (MA) and passionate volunteers from the local community who decided to devote part of their time to the preservation of this important archaeological site. 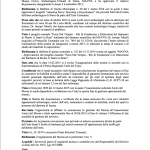 We consider this fact as one of the most important goals we have achieved with the ANP. 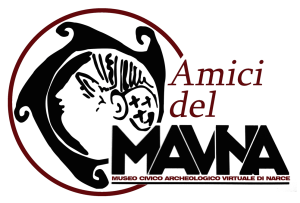 According to their Statement and Regulation, the role of the Association is to protect the cultural landscape of Narce and to cooperate with the MAVNA museum for the preservation of the archaeological site. 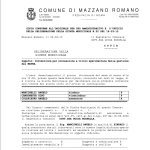 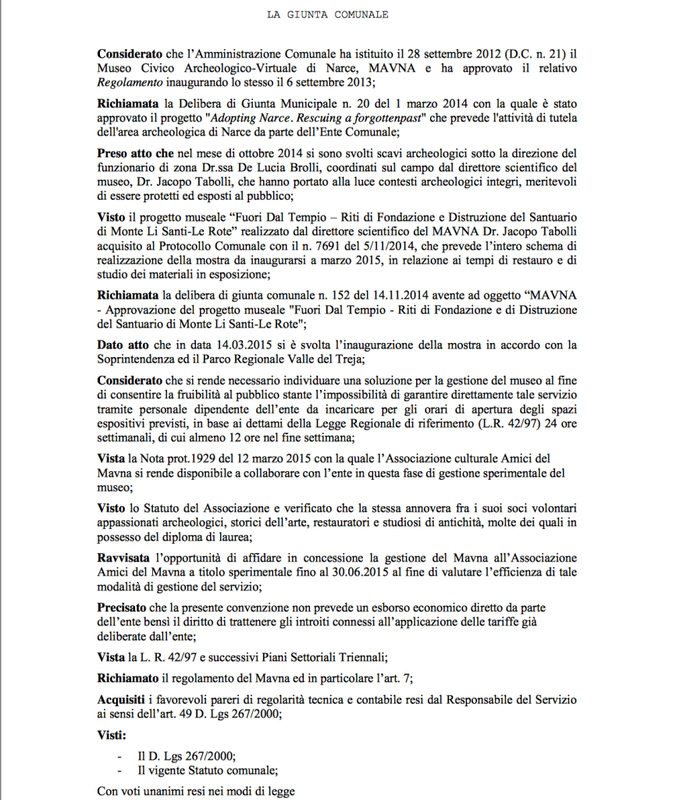 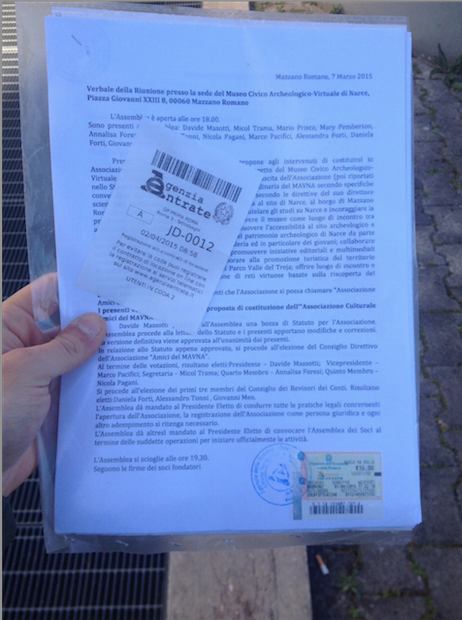 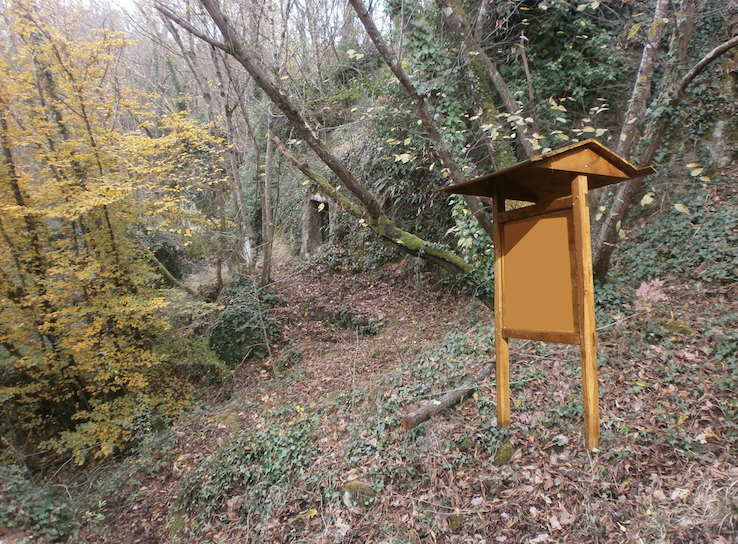 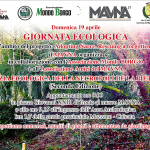 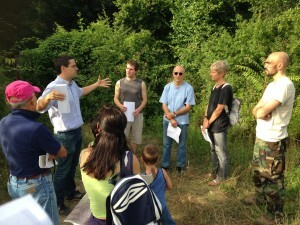 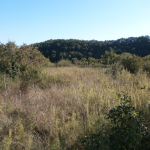 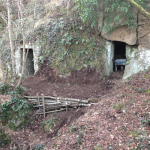 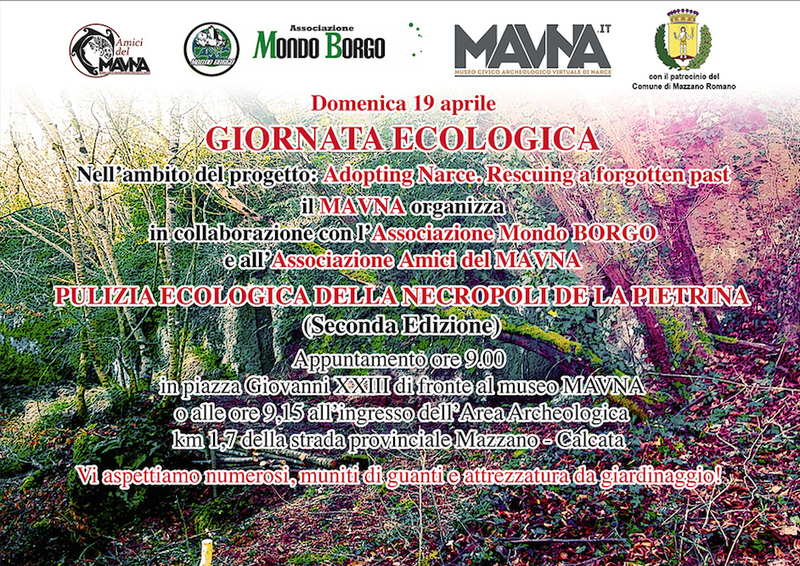 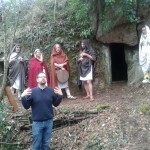 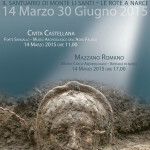 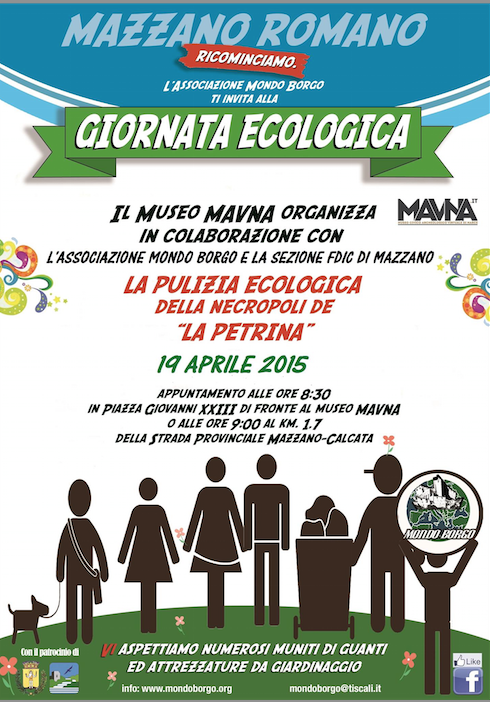 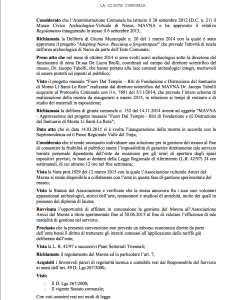 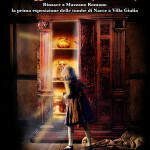 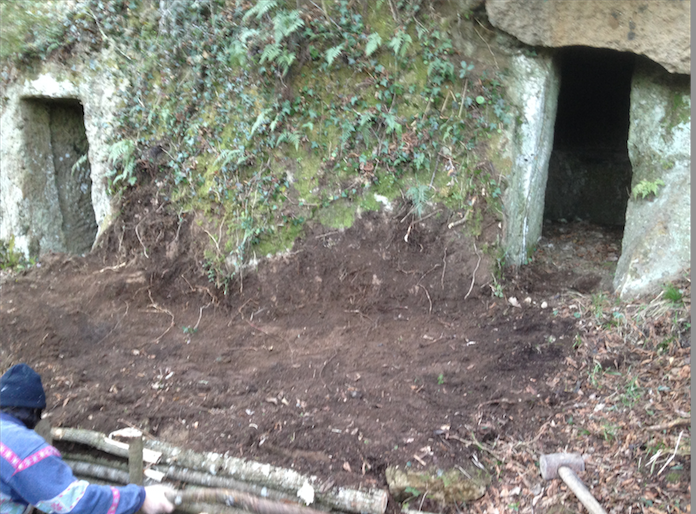 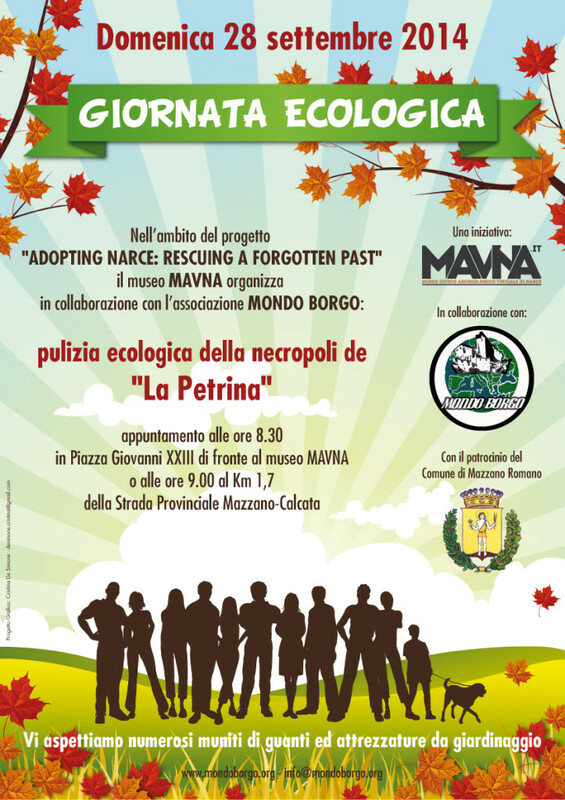 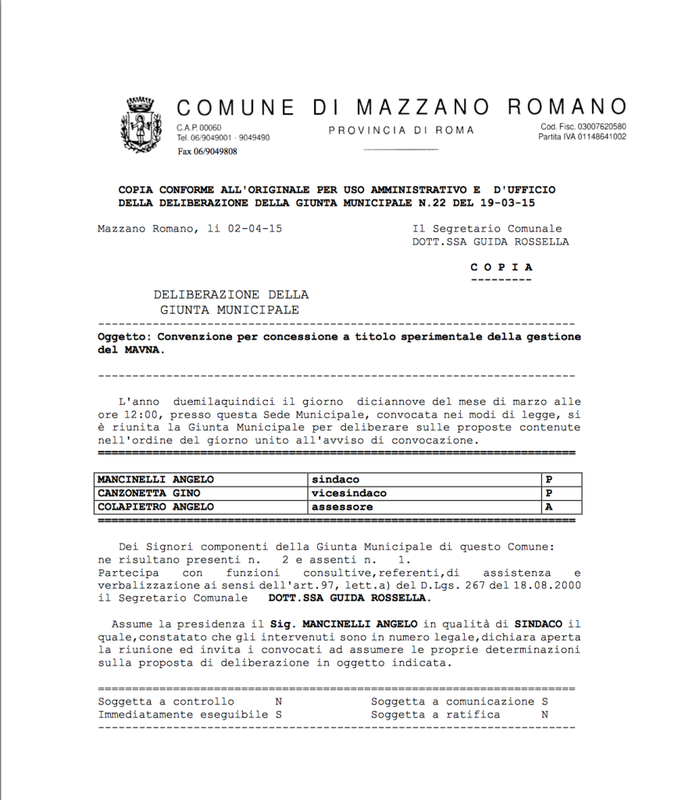 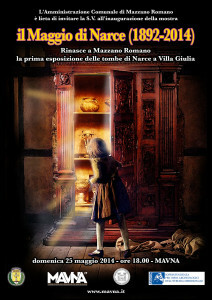 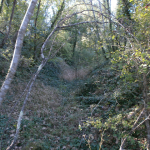 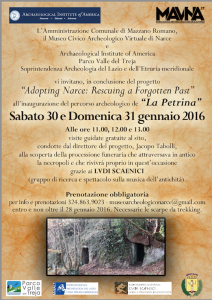 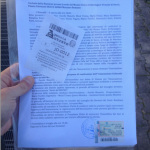 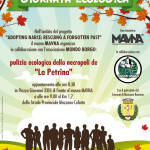 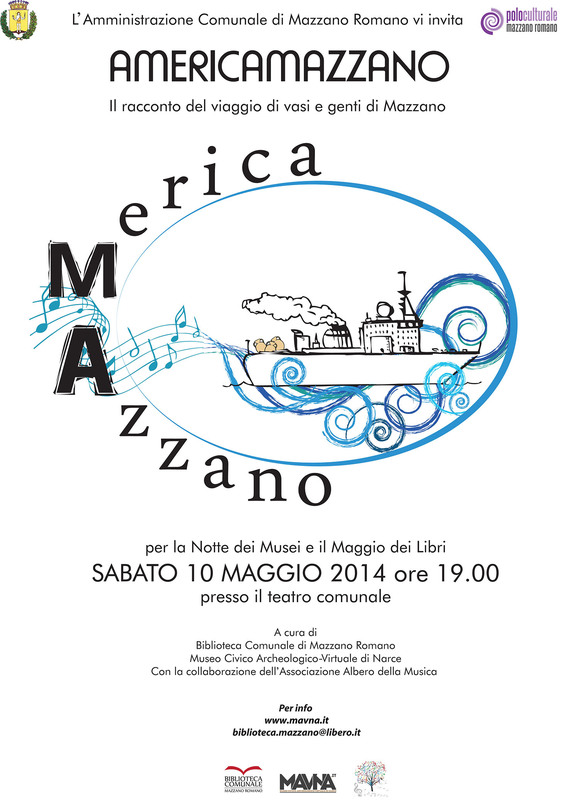 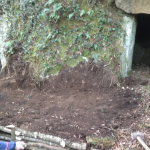 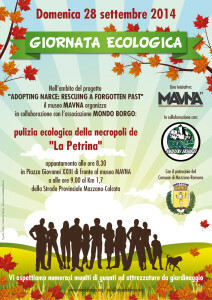 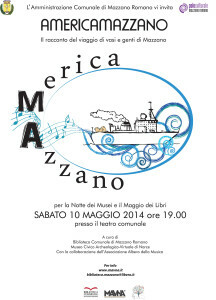 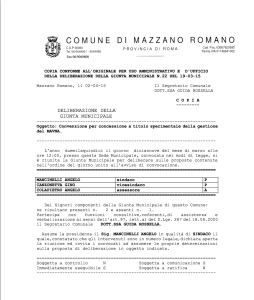 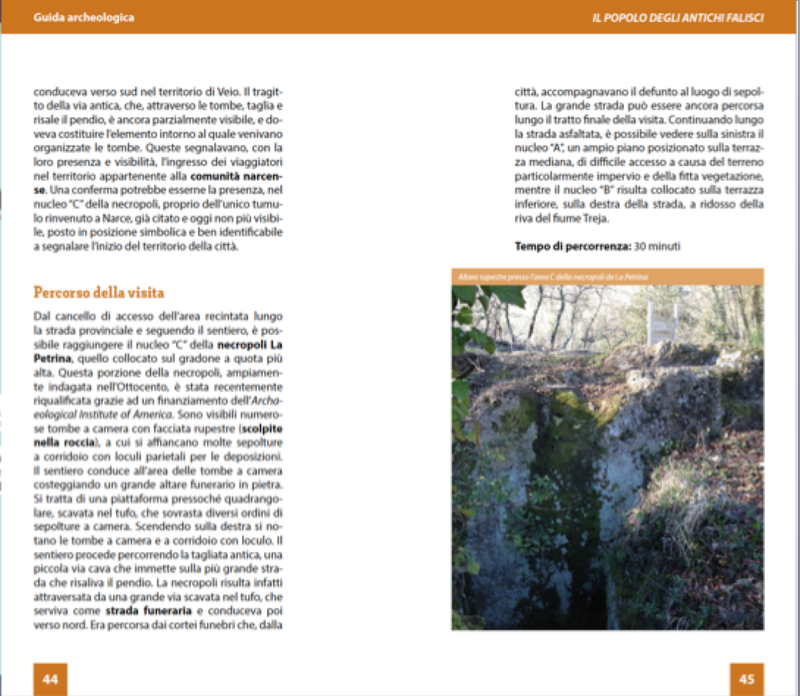 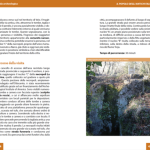 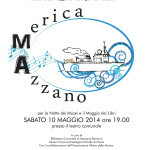 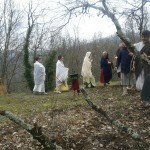 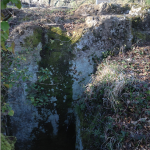 After the official registration of the Association “Amici del MAVNA” in the national list of associations, the Municipality of Mazzano Romano has officially declared that the Association “Amici del MAVNA” can adopt the necropolis of La Petrina. 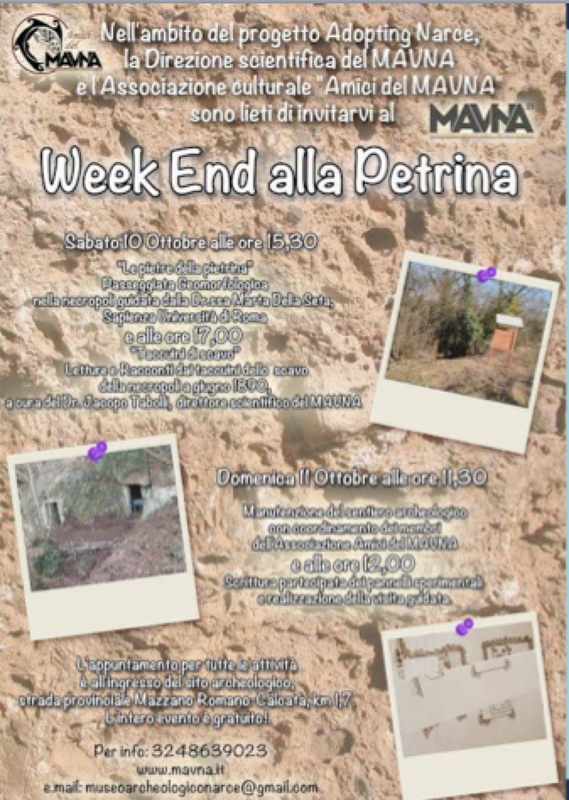 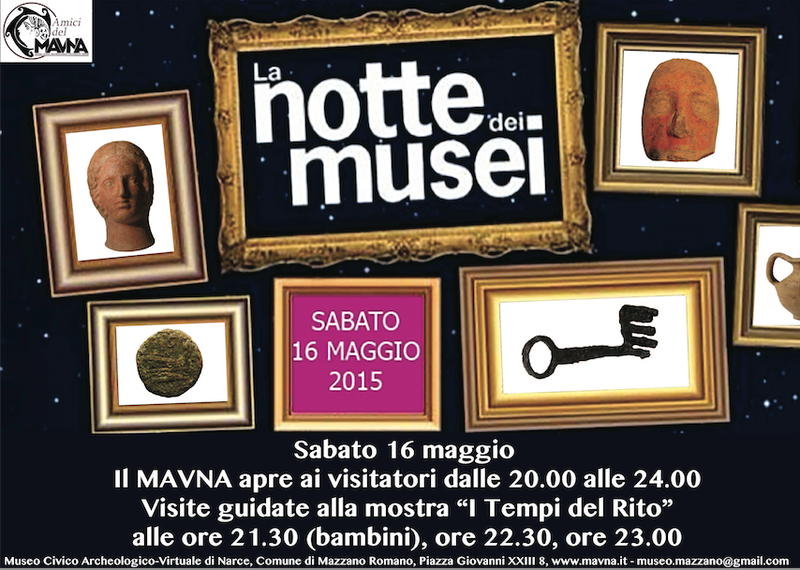 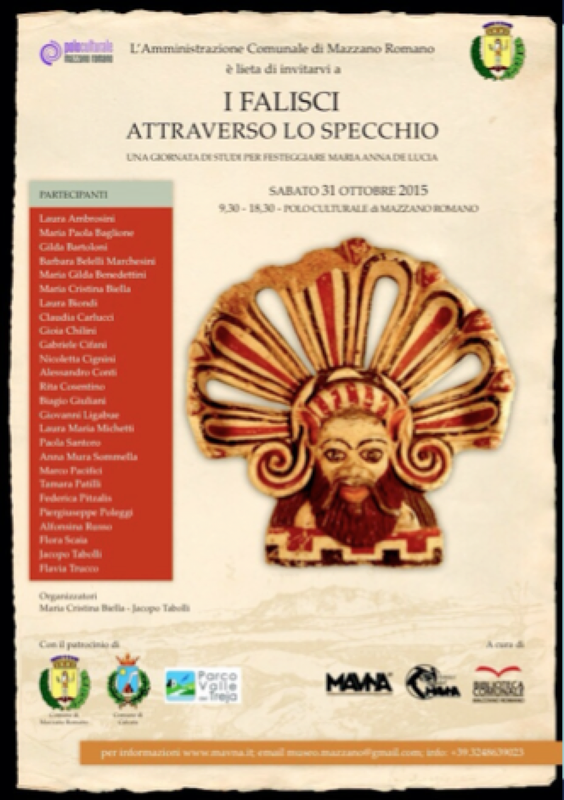 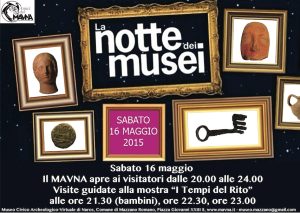 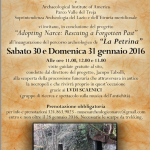 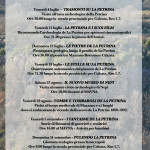 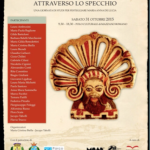 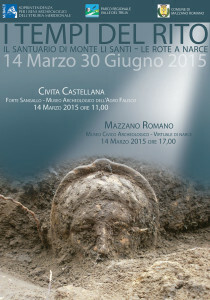 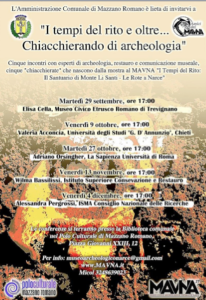 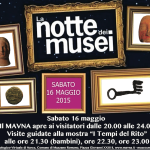 One of the first events the Association has organized has been the “Night of the Museum”, presenting the exceptional discoveries found in the sanctuary excavated in October 2014 on the slopes of La Petrina (see below). 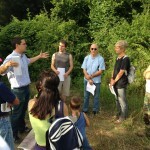 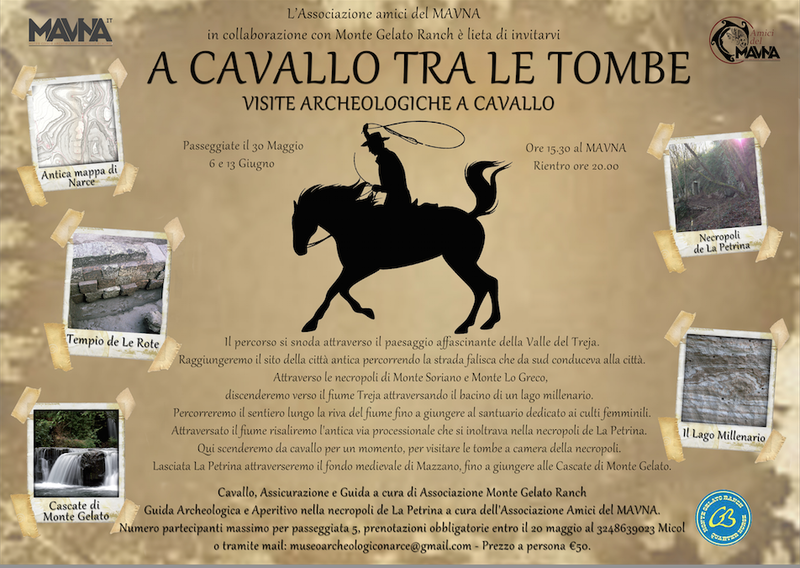 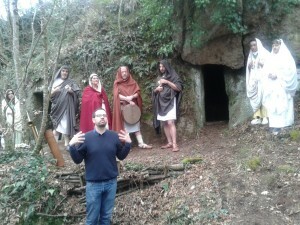 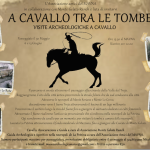 They have also organized the first visits of the necropolis with horse riding “A cavallo tra le tombe” (Horse riding through the tombs). 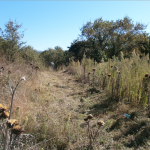 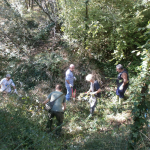 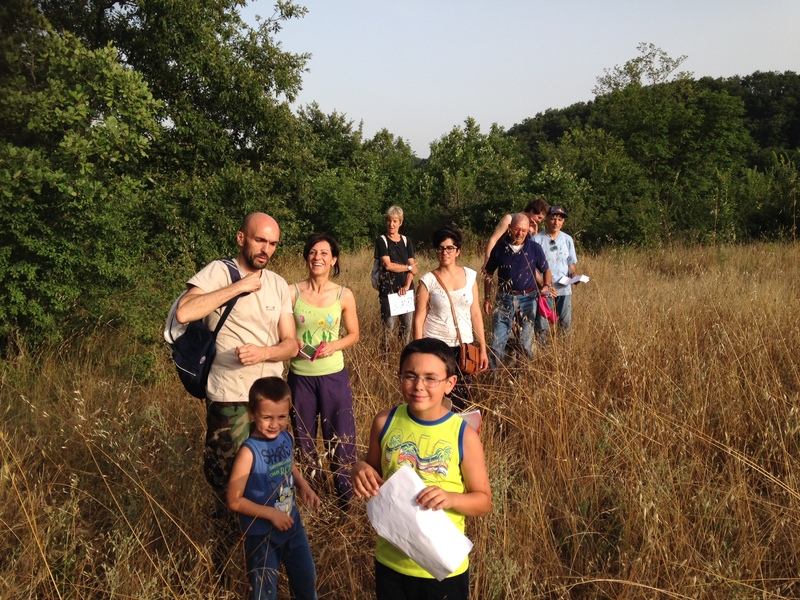 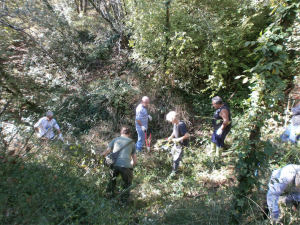 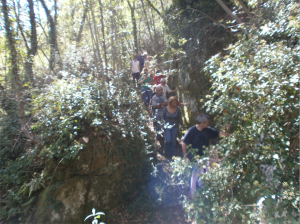 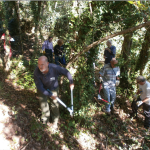 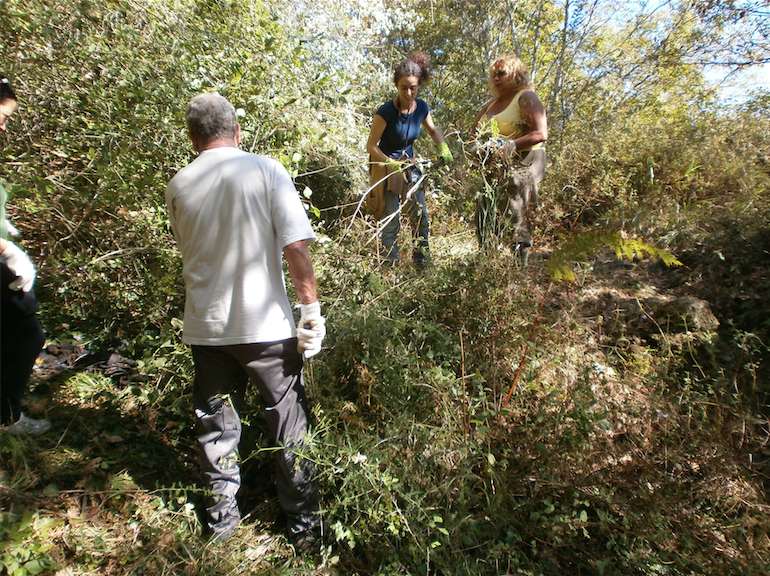 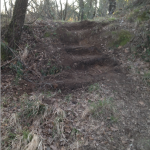 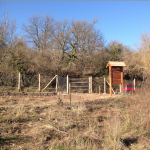 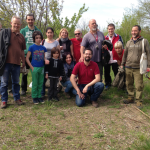 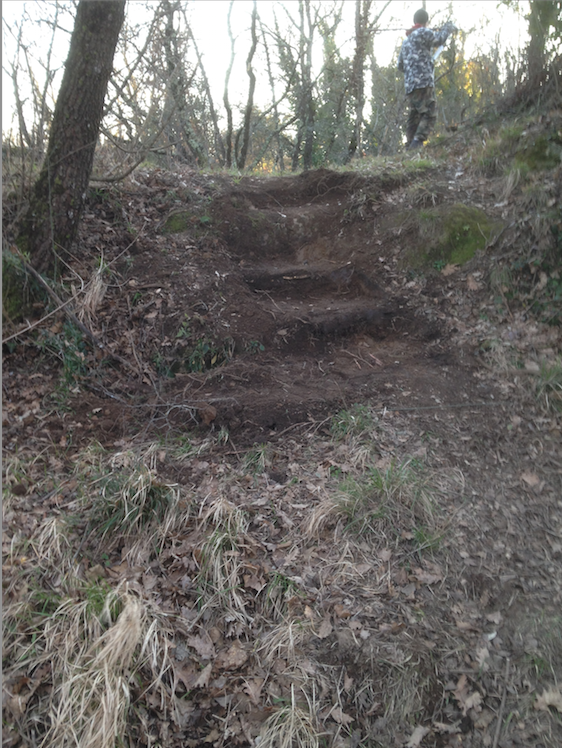 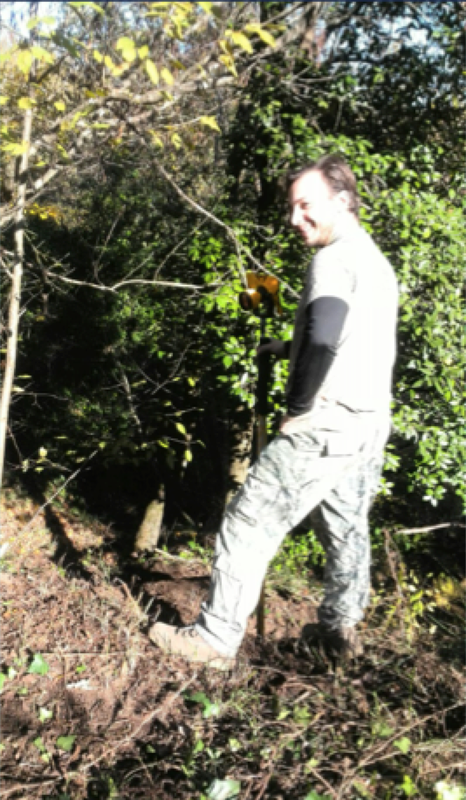 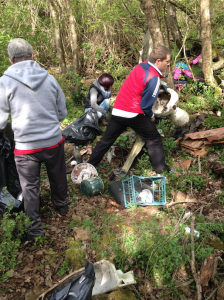 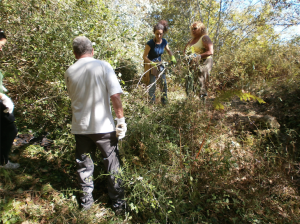 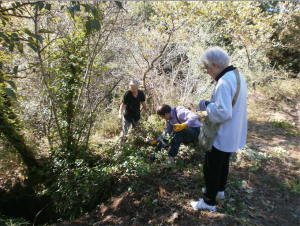 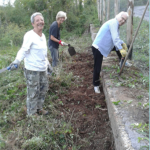 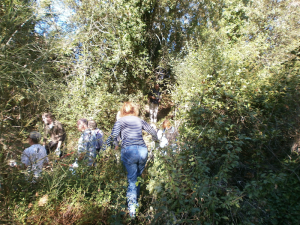 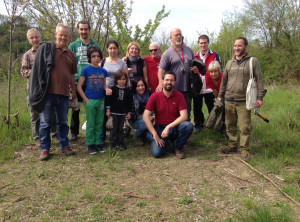 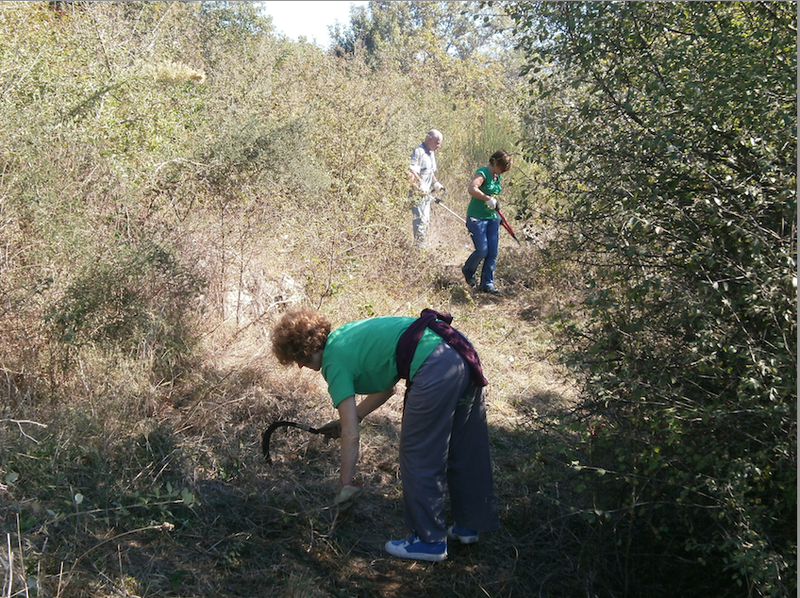 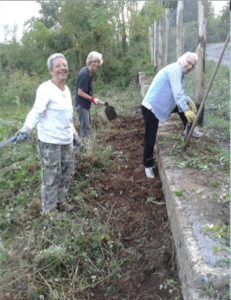 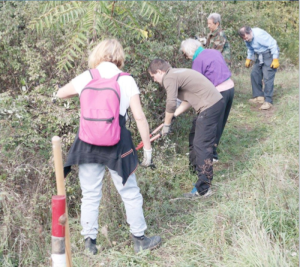 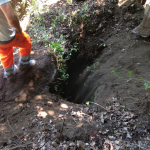 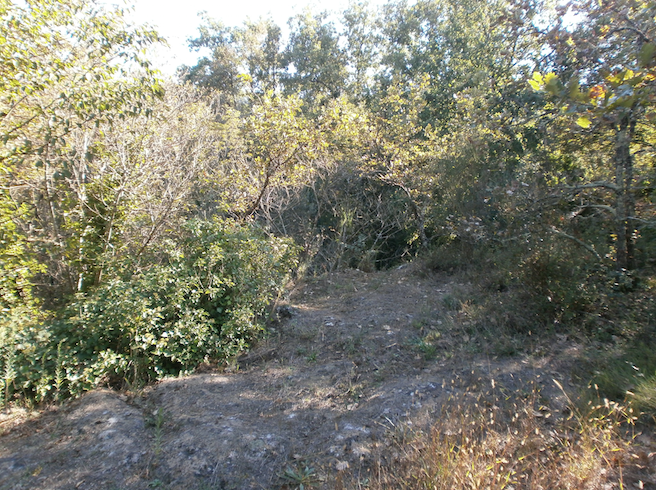 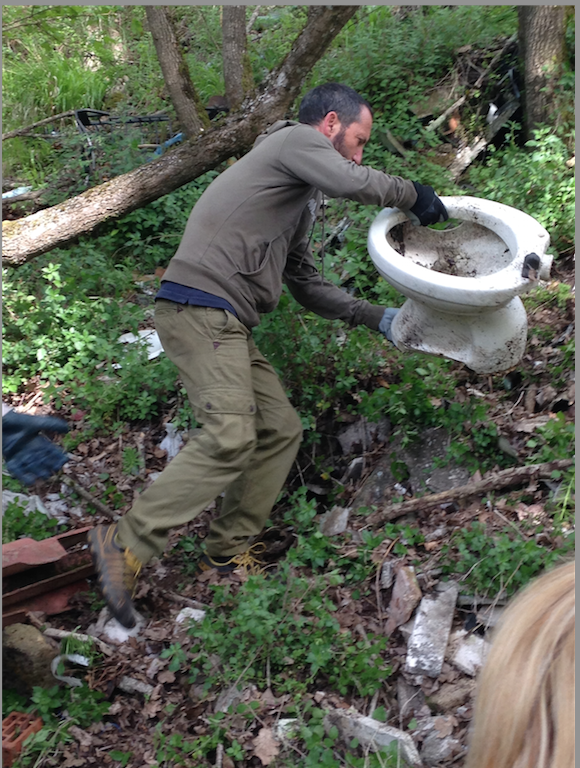 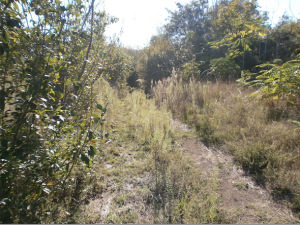 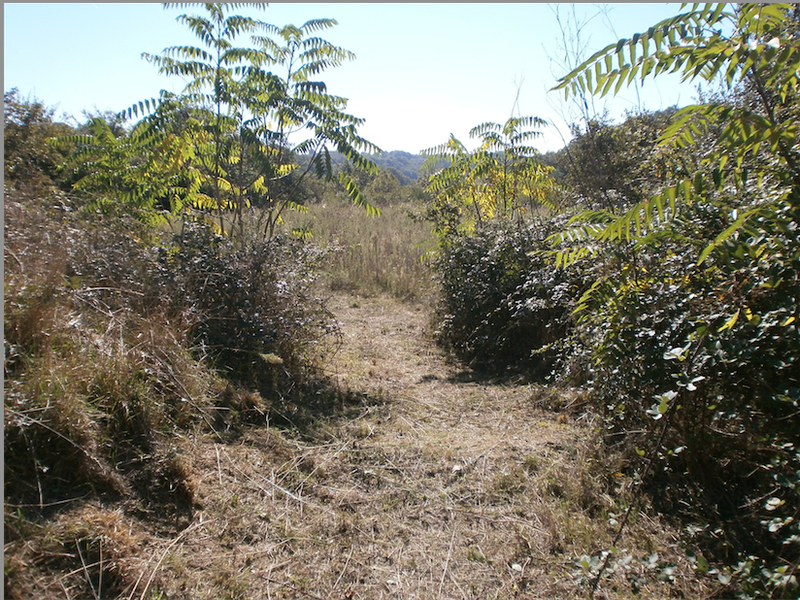 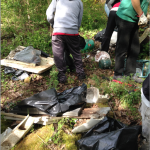 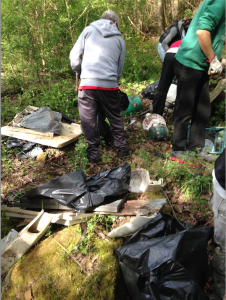 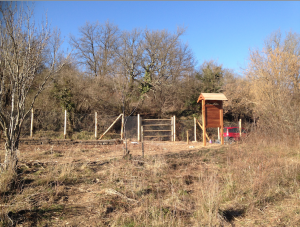 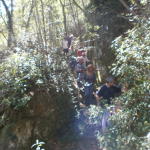 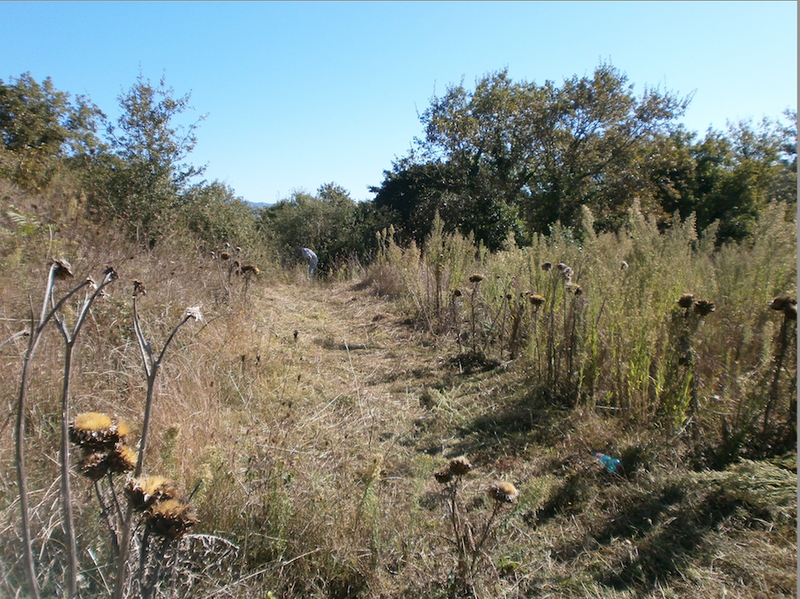 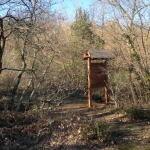 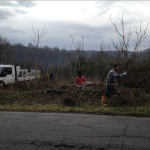 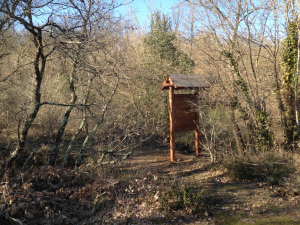 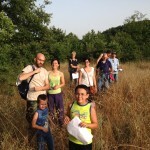 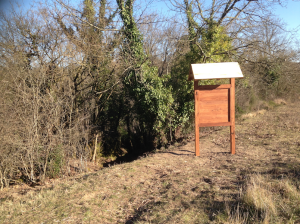 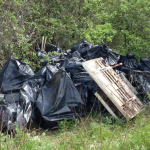 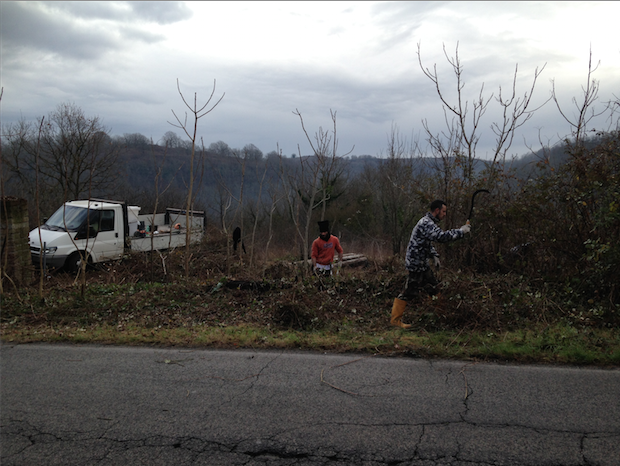 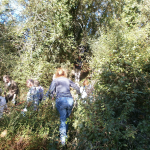 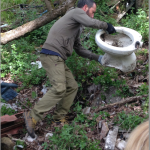 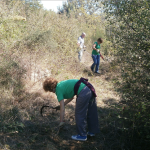 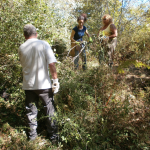 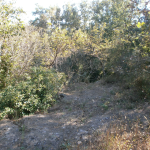 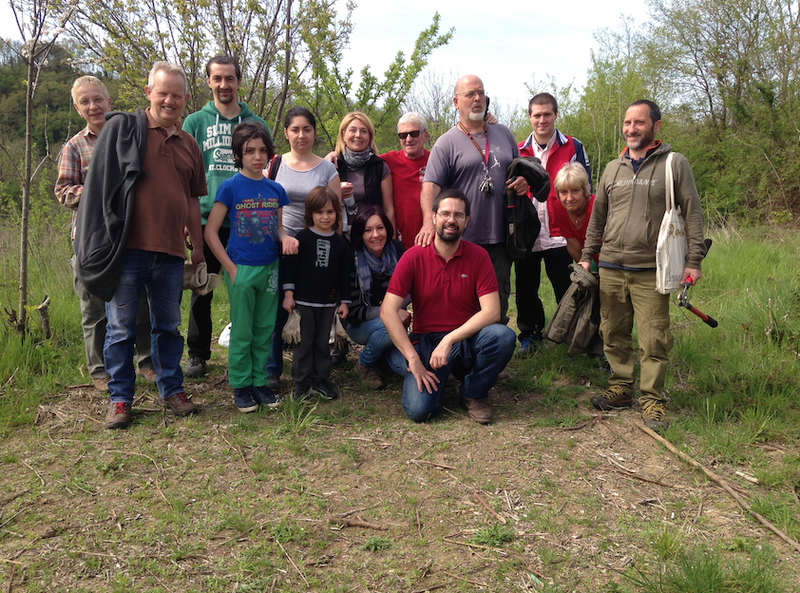 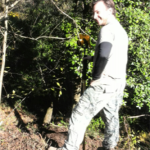 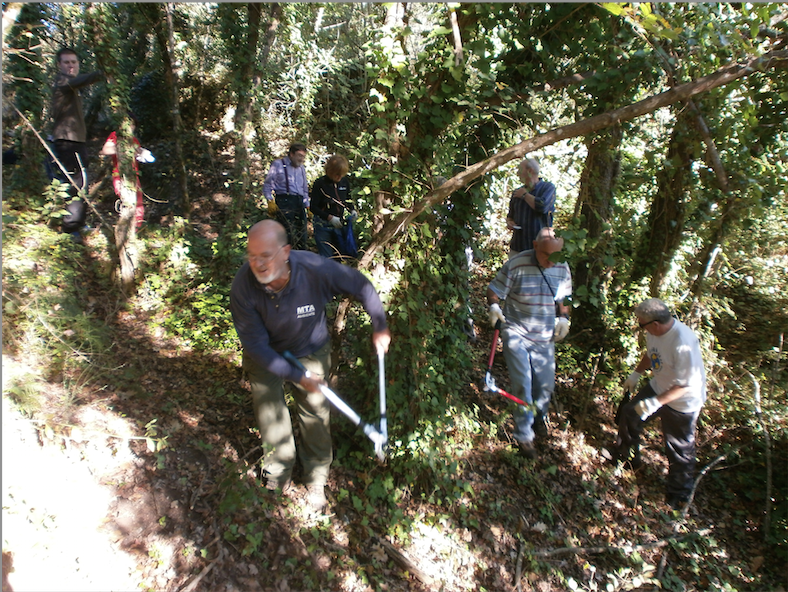 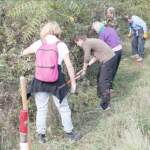 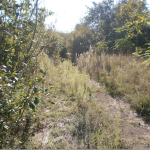 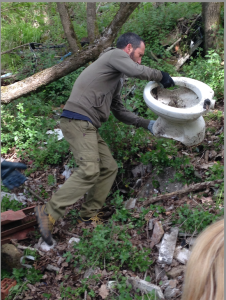 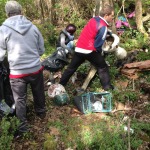 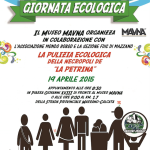 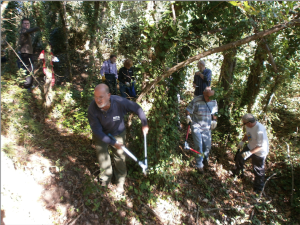 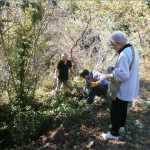 After the event of “Cleaning La Petrina” in past September, we organized a second day of cleaning in April 2015, focused especially on an area that was not accessible in the past year due to the infesting weeds. 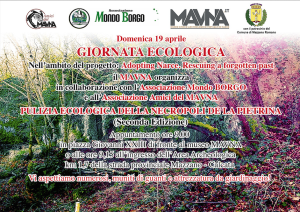 This event was organized in collaboration with two associations of volunteers: the “Amici del MAVNA” and the “Mondoborgo”, who has participated also in the previous one. 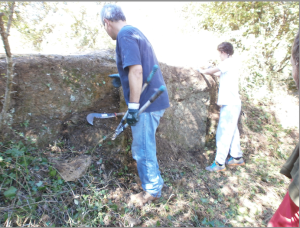 All the volunteers put a tremendous effort to clean this part of the necropolis. 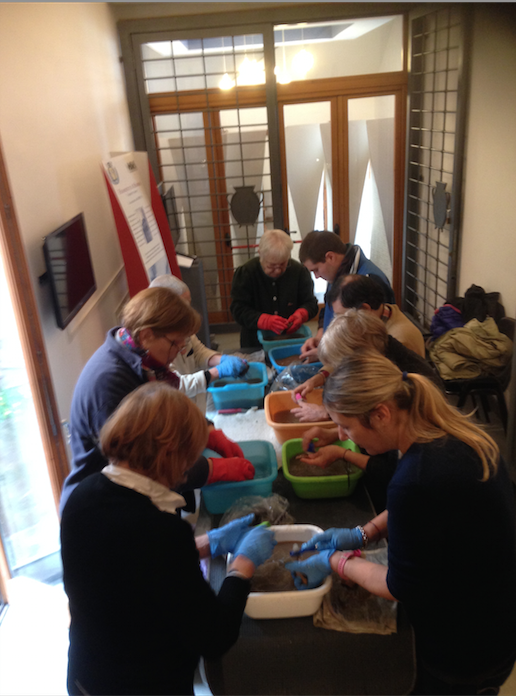 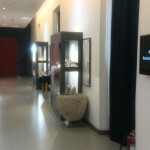 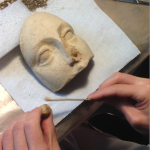 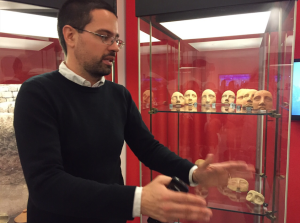 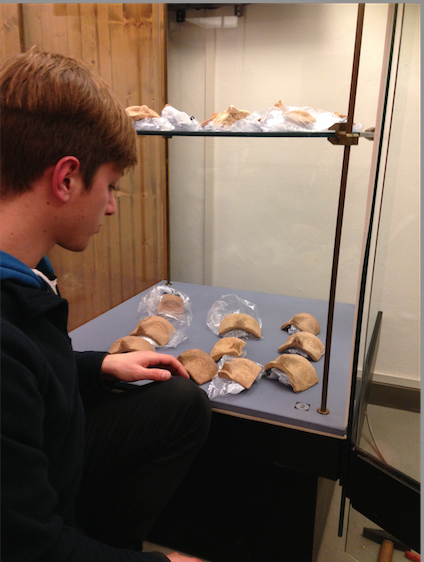 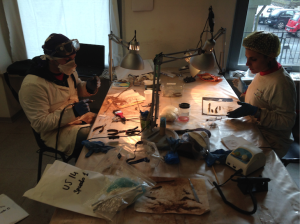 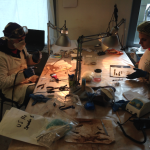 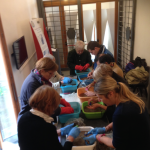 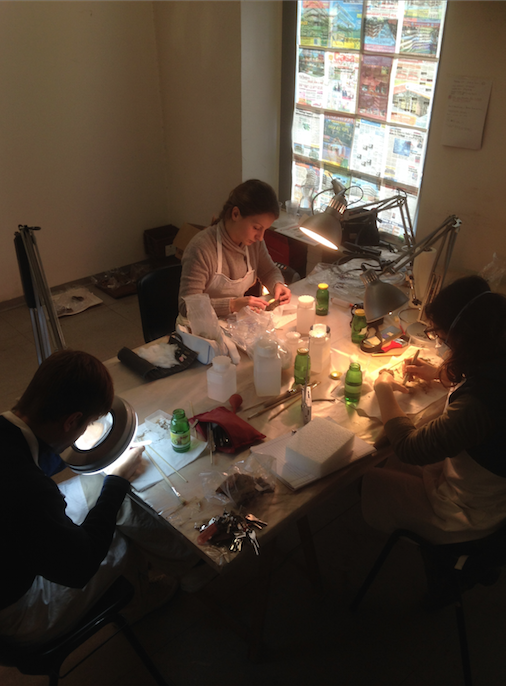 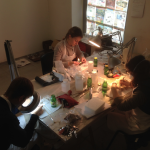 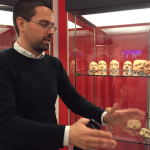 and conservators from the Istituto Superiore per La Conservazione e il Restauro (University of Conservation) did the conservation and assisted in the display of the artifacts. 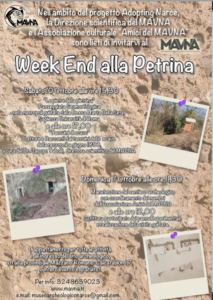 Since its opening 1500 visitors came to the museums and some of them visited the site of La Petrina during organized tours (the site is still not accessible every day since it will be ready next year). 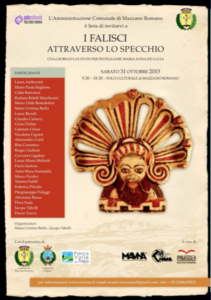 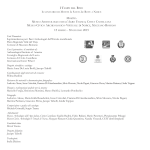 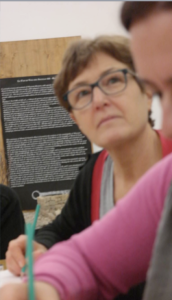 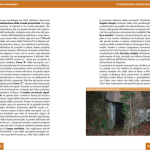 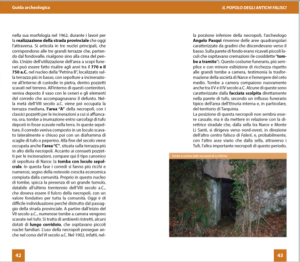 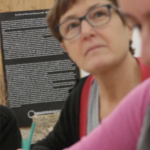 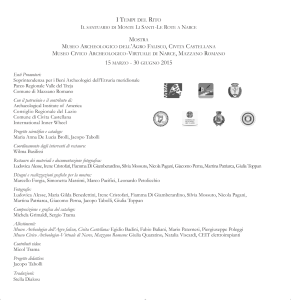 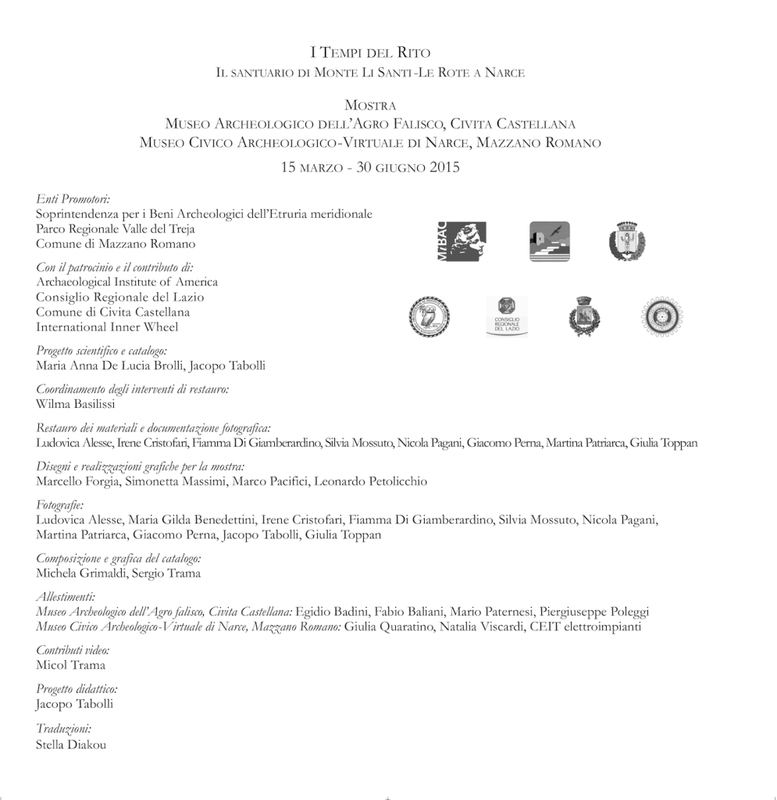 Together with Dr. Maria Anna De Lucia Brolli we published the catalogue of the exhibition and of course we have mentioned in the credits the support from the Archaeological Institute of America. 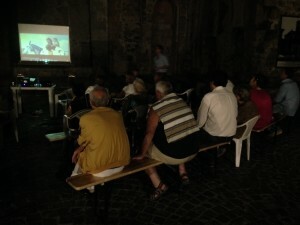 Alongside this series of activities, we have continued with the educational program within the ANP. 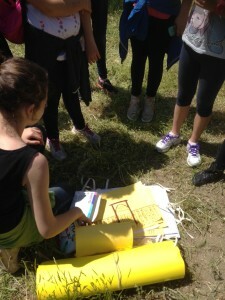 This time we were able to involve students from every age, from 3 years old to 18 years old. 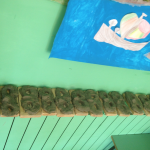 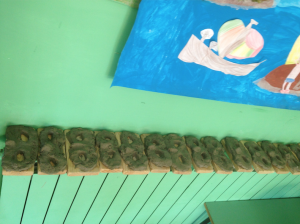 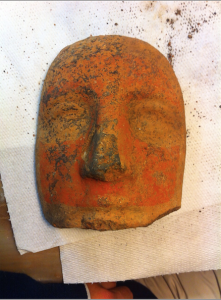 The kindergarten classes have recreated the votive masks from the sanctuary. 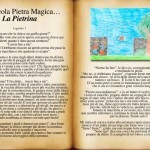 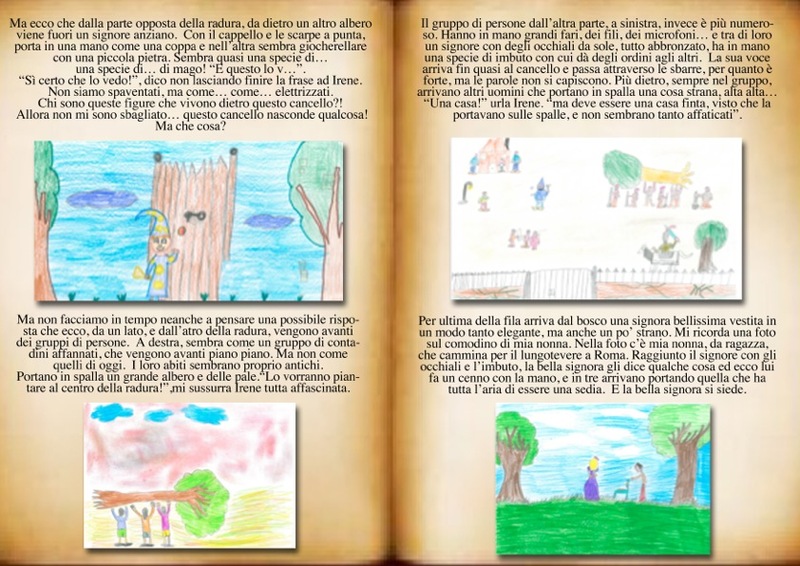 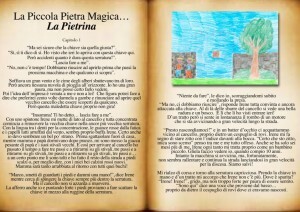 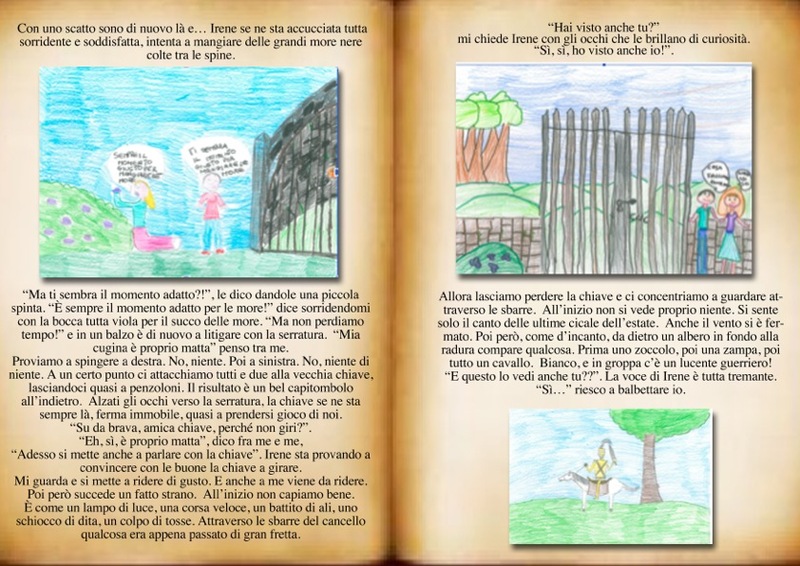 The students of the elementary school have started to write a novel about the history of La Petrina. 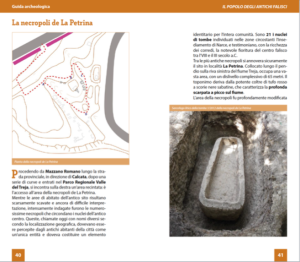 All the different moments in the evolution of the site (the necropolis with the warrior tombs, the sanctuary, the medieval fields, the set for spaghetti western movies) are represented as different chapters of the novel. 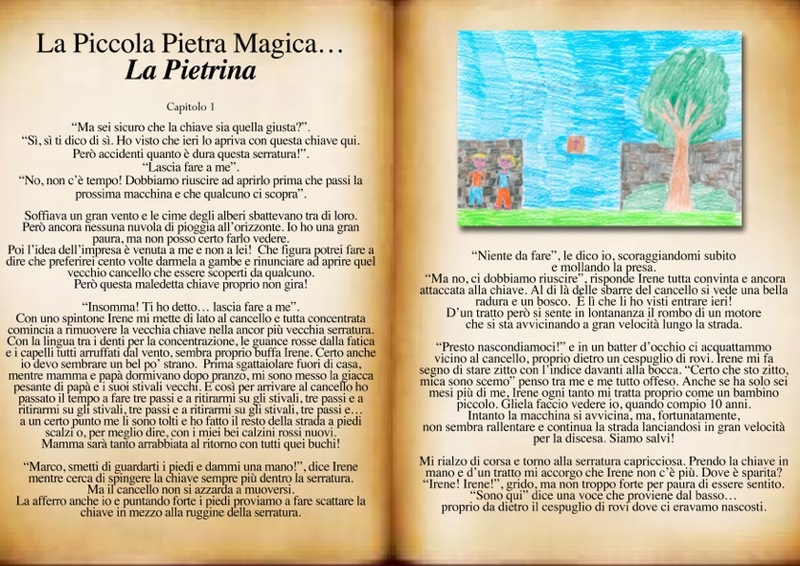 Two young kids, Marco and Irene, discovered a magic gate and they enter into a fantasy wood where they meet a shining warrior on a white hoarse, a priest who makes sacrifices, farmers planting trees and the female protagonist of a spaghetti western movie. 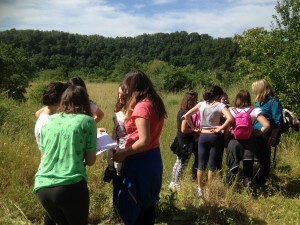 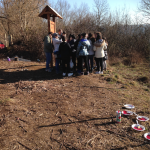 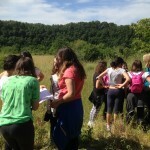 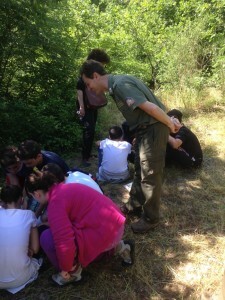 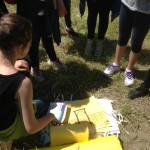 At the same time we involved the junior high school students in the marking of the archaeological path. 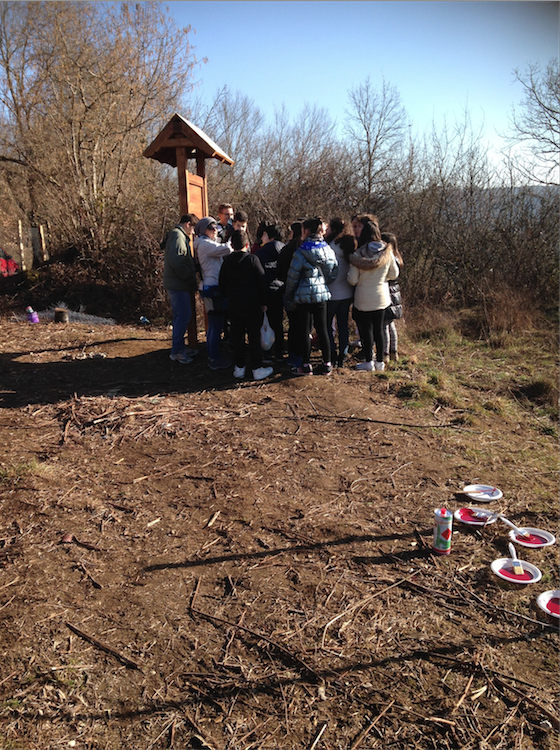 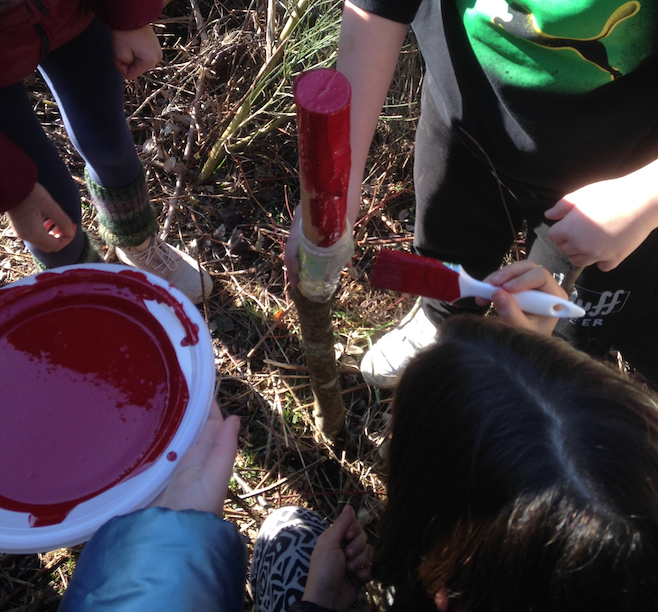 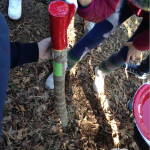 The students were divided into different teams and painted in red the markers of the path. 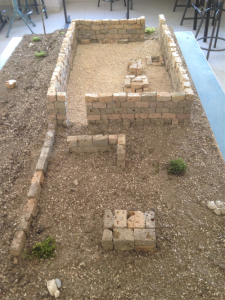 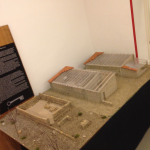 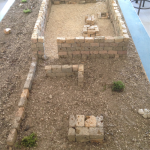 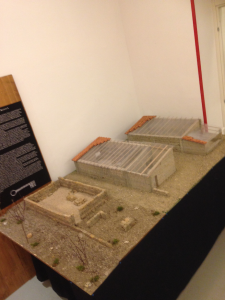 Finally the students of the ninth, tenth and eleven grades of the local technical high school (Istituto per Geometri Nervi) realized the models in scale of the evolution of the sanctuary during the 5th, 4th and 3rd centuries. 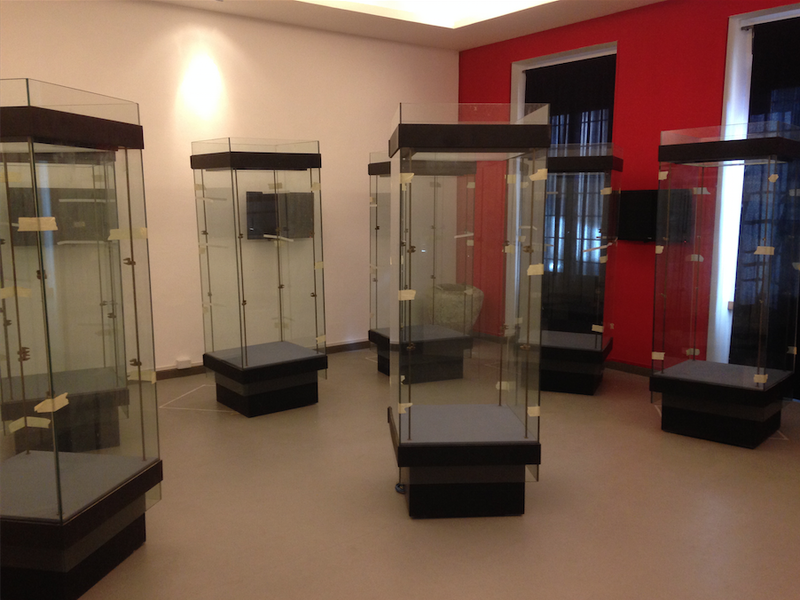 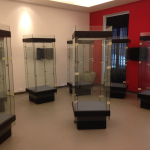 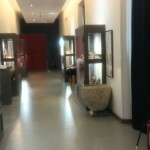 The models are now on display in the MAVNA museum. 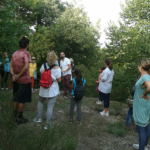 During the summer, together with a series of tours to the surrounding archeological sites, in order to make them known to the local community, new activities of cleaning and maintenance of the site were organized. 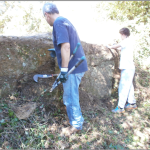 These ordinary activities, carried out by the tireless local volunteers, were also accompanied by readings of the excavation journal of June 1890, when the necropolis was initially discovered. 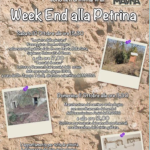 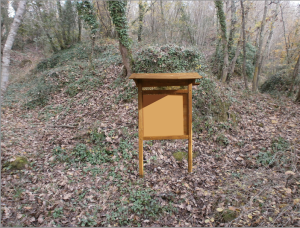 We organized a series of “weekends at La Petrina”, using different narratives. 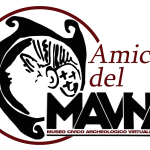 In this way, the Association “Friends of MAVNA” got to know even better the archaeological site of Narce. 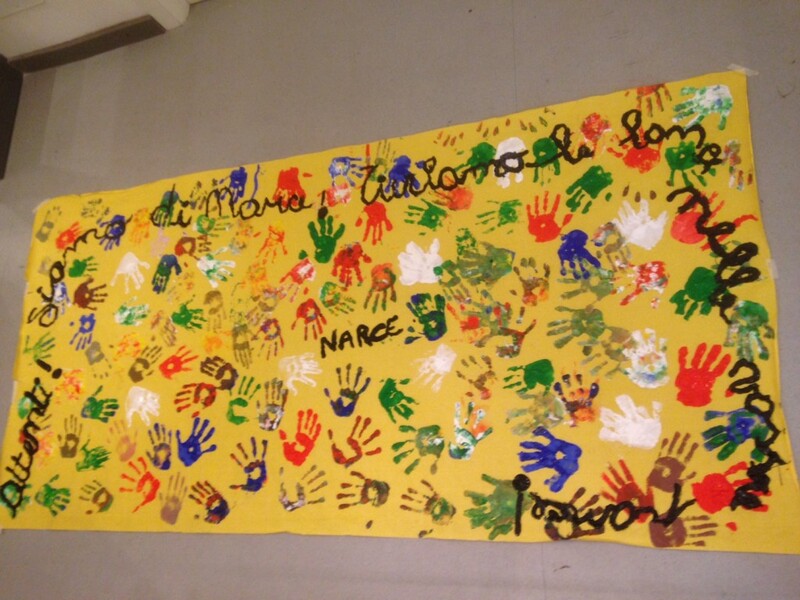 Autumn arrived at la Petrina and following the outdoor activities of the summer we continued with a number of indoor events organized with the purpose of disseminating the project Adopting Narce. 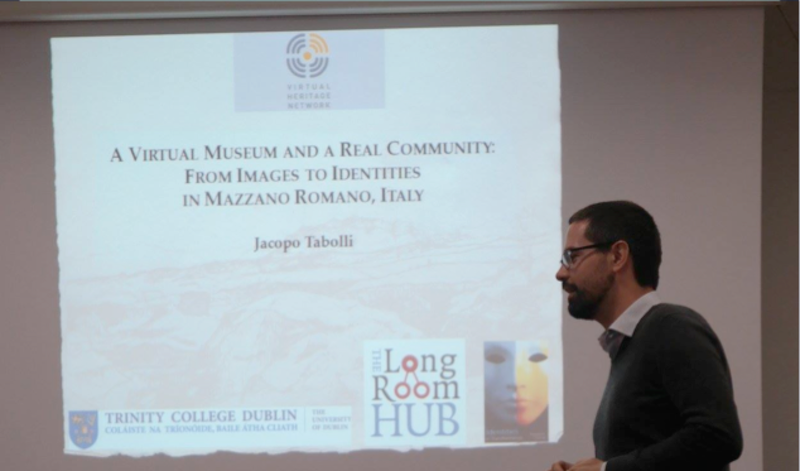 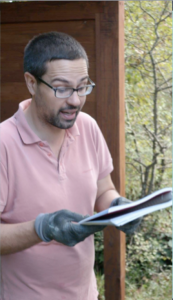 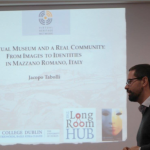 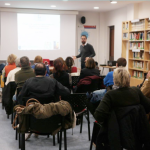 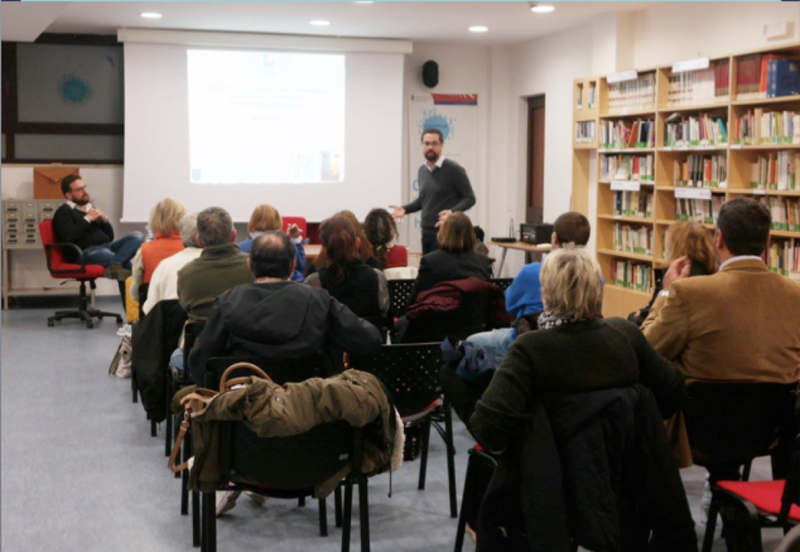 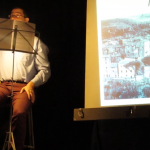 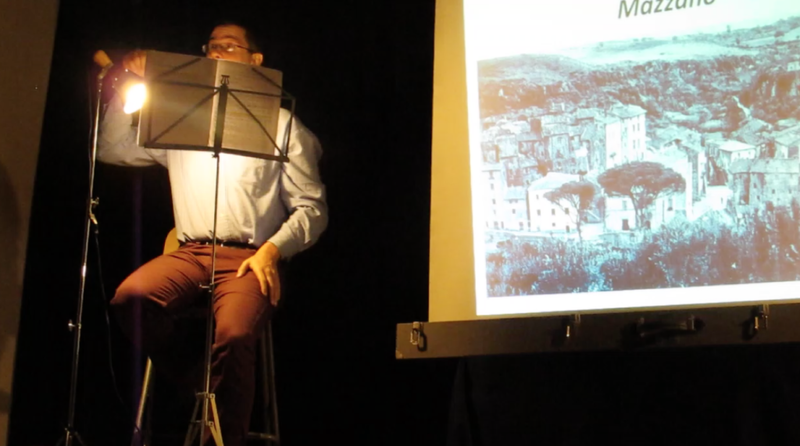 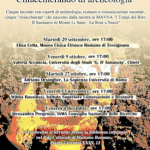 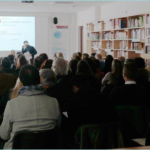 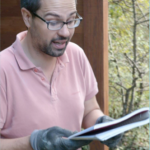 A series of public lectures addressed the theme of ancient ritual as well as the link between the archeological projects focused on Narce and the identity of the local community of Mazzano Romano. 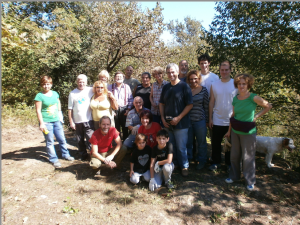 A great result was that several groups of locals, after attending these lectures, decided to join the association of volunteers. 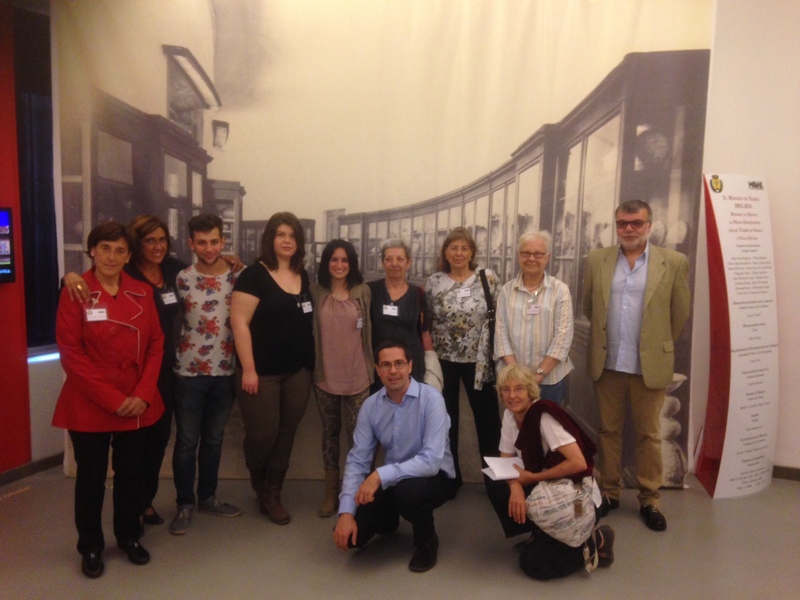 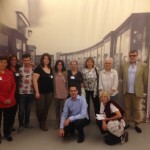 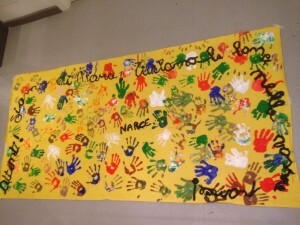 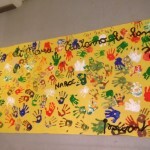 From this point on the volunteers began to organize and oversee activities for children within the museum. 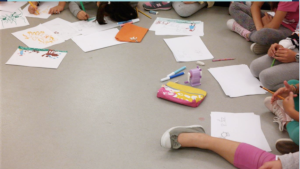 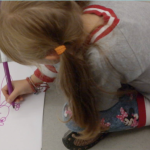 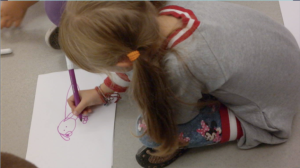 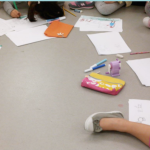 Children made drawings of the magic animals of the ancient Faliscans, as they were represented in the Orientalizing vases discovered at La Petrina. 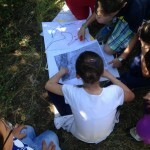 At the same time, new activities were organized for adults, while the children were creating the “magic key” of the entrance of the archeological site (similar to the ancient iron keys discovered in the sanctuary). 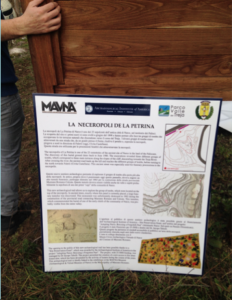 Among the different activities of the Adopting Narce Project, an important part was devoted to the reconstruction of the ancient topography of the necropolis and to the drawing of the architecture of the funerary structures. 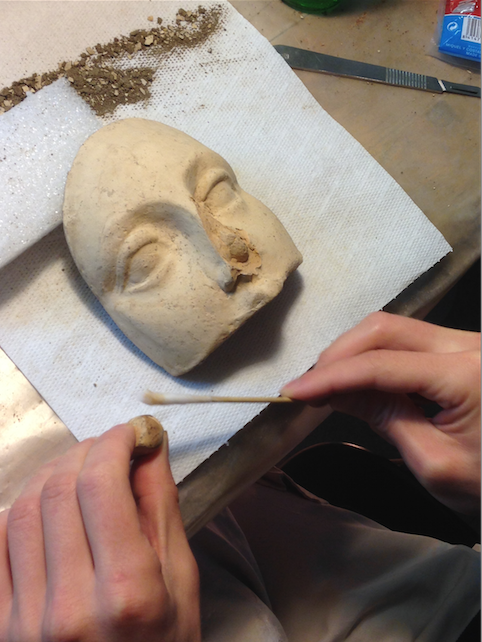 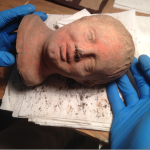 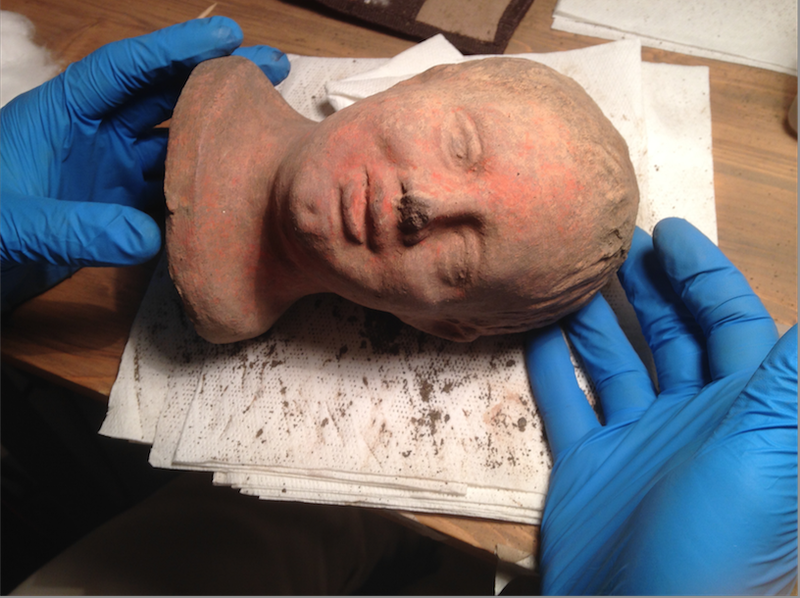 This process was conducted by professional archaeologists and conservators, and focused especially on the funerary altar. 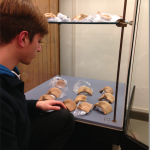 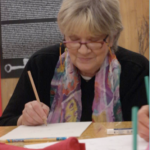 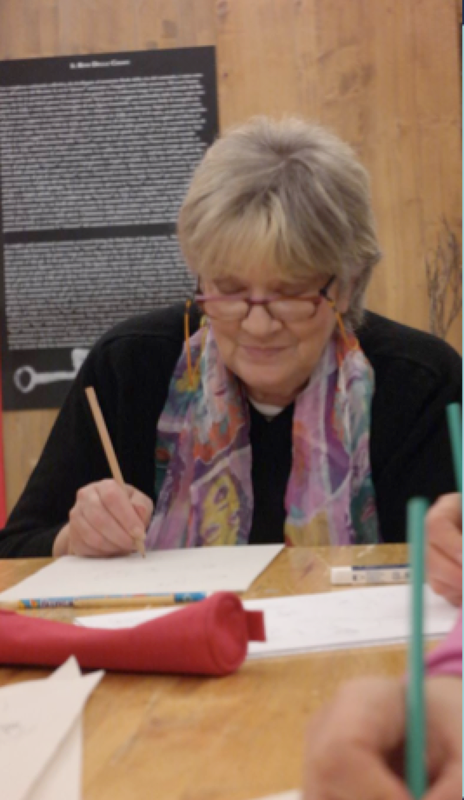 Some of the volunteers took part in the operations of drawing the funerary altars. 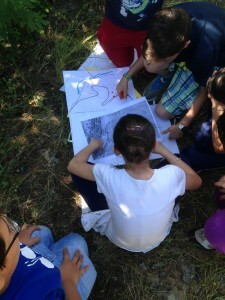 It was an important occasion of collaboration between young scholars and the local community. 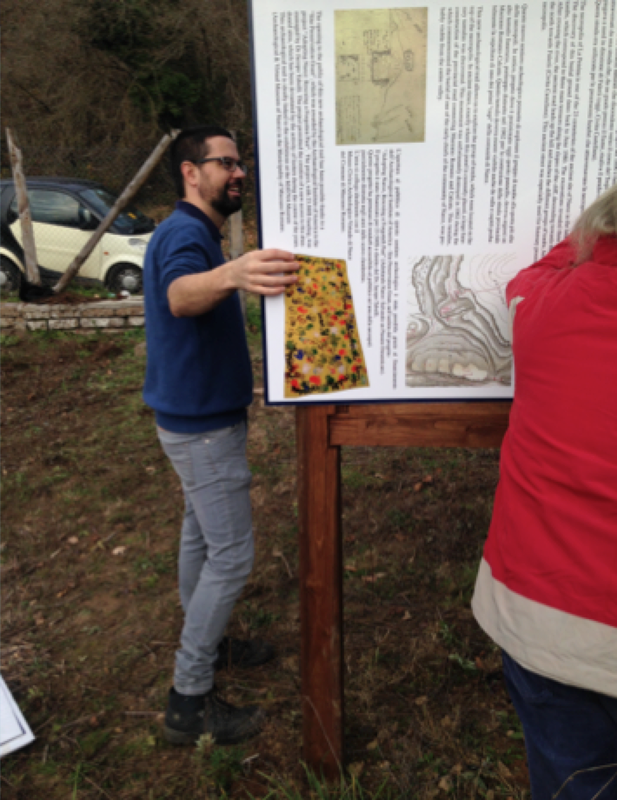 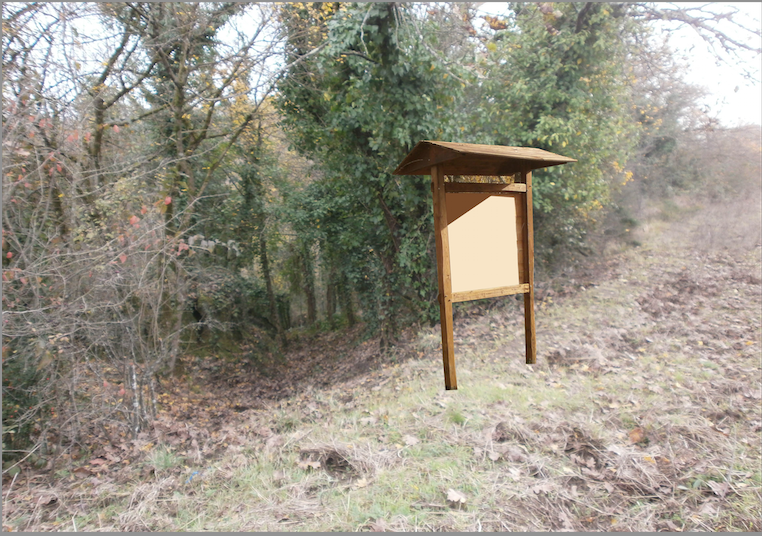 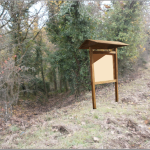 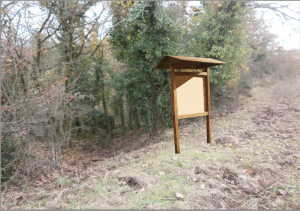 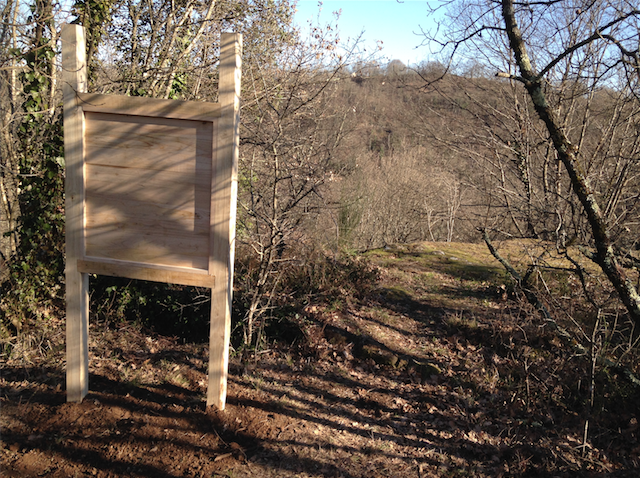 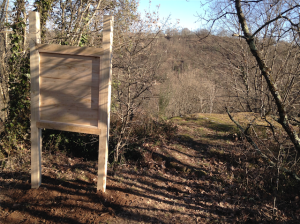 All the drawings were prepared in order to be added on the panel along the path. 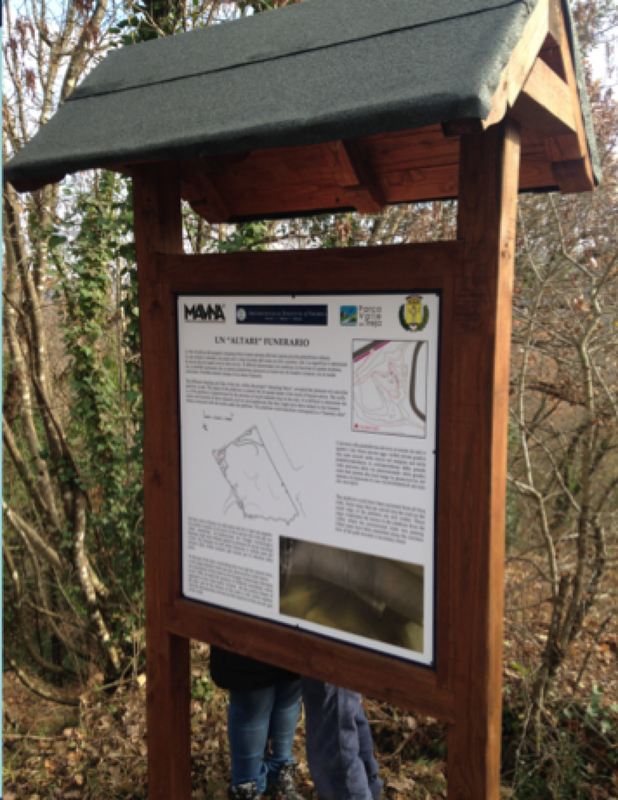 Between December 2015 and January 2016, while we approached the opening of the site to public, the panels were finally ready. 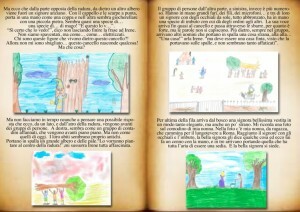 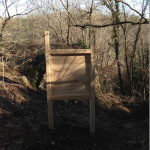 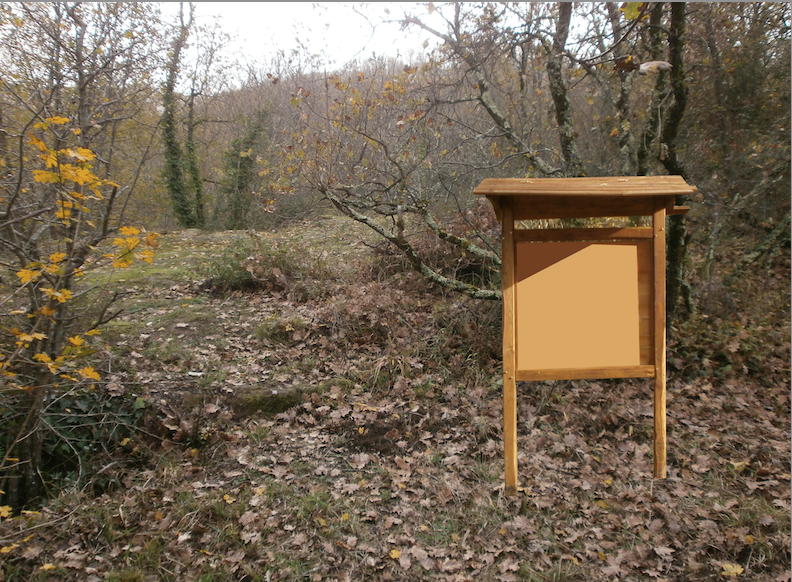 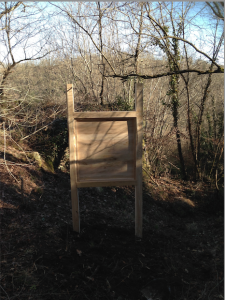 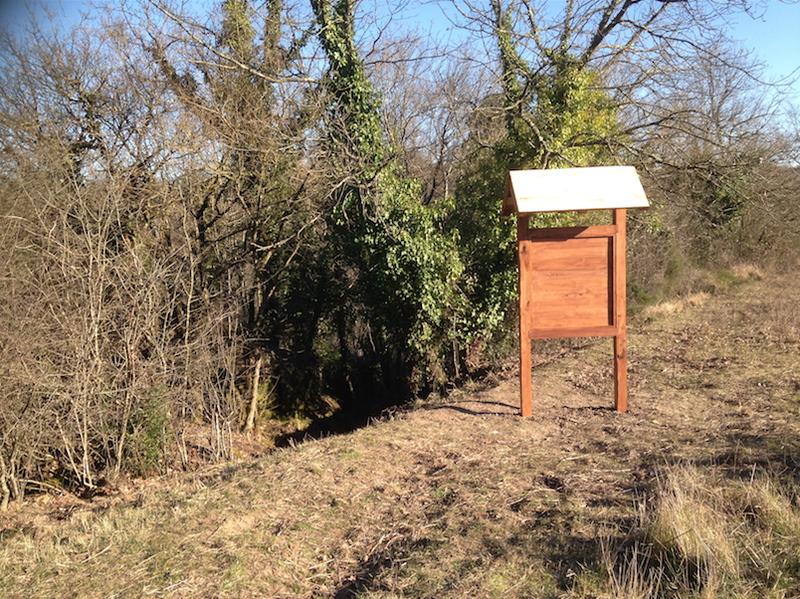 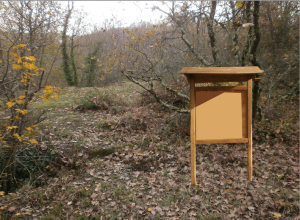 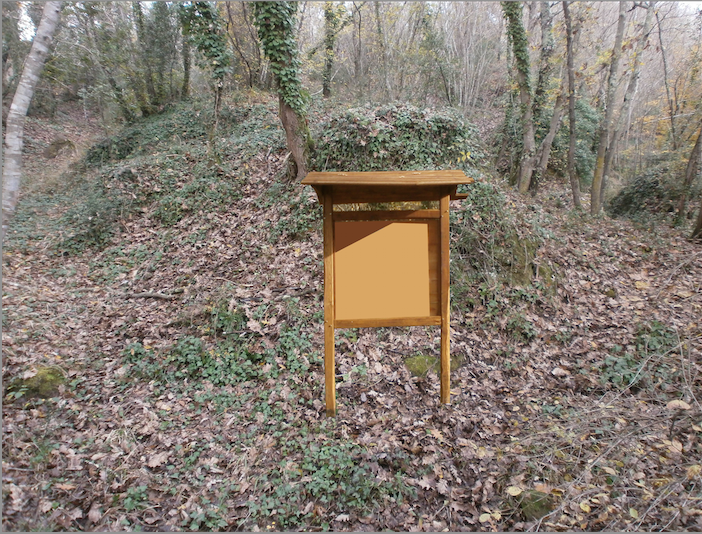 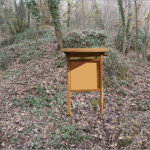 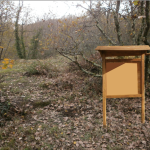 The text was written both in Italian and in English and the printing was done by a small local company, using materials resistant to wind, rain and sun. 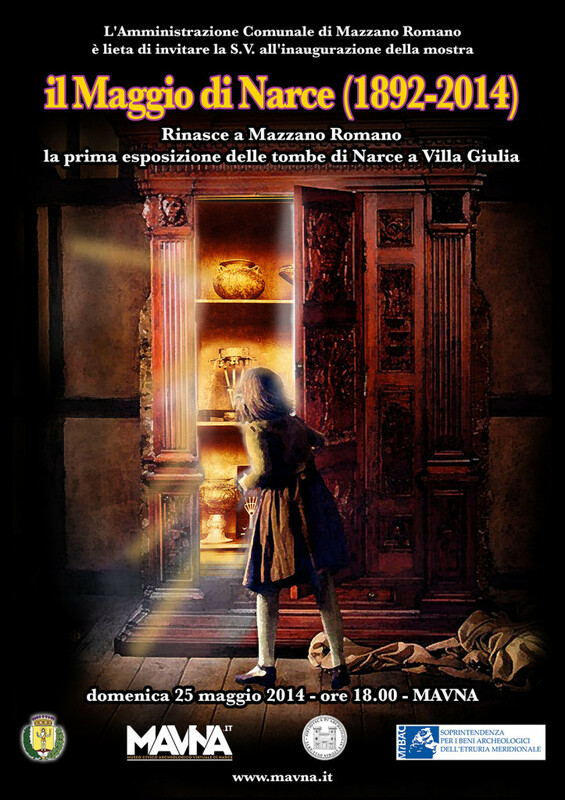 While slowly slowly the panels were placed along the path, the necropolis began to “get alive again”, in a continuous narrative, along the ancient funerary road, the altar and the chamber tombs. Photos and drawings for the panels had already been prepared and after almost two years of work we were finally able to plan the opening of the site to the public, scheduled for the end of January 2016, following a final cleaning focused on the altar (which brought to light its original surface). 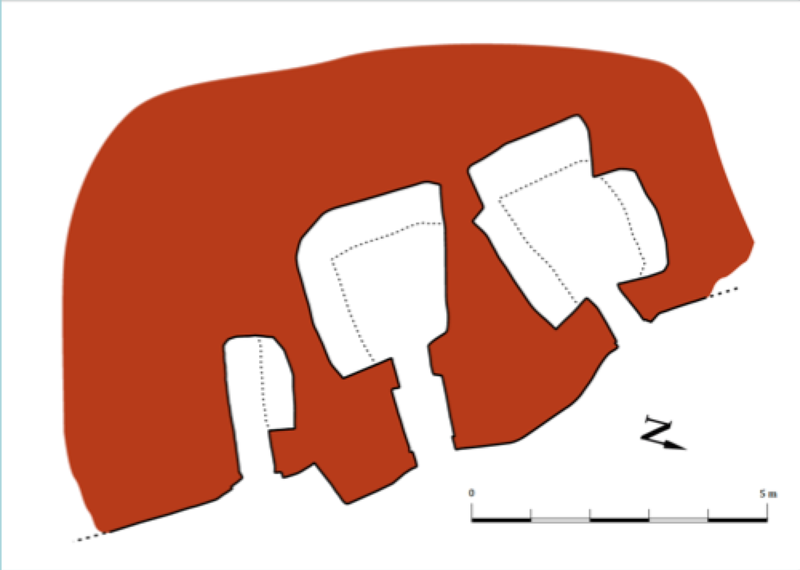 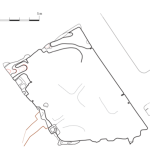 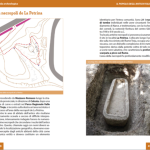 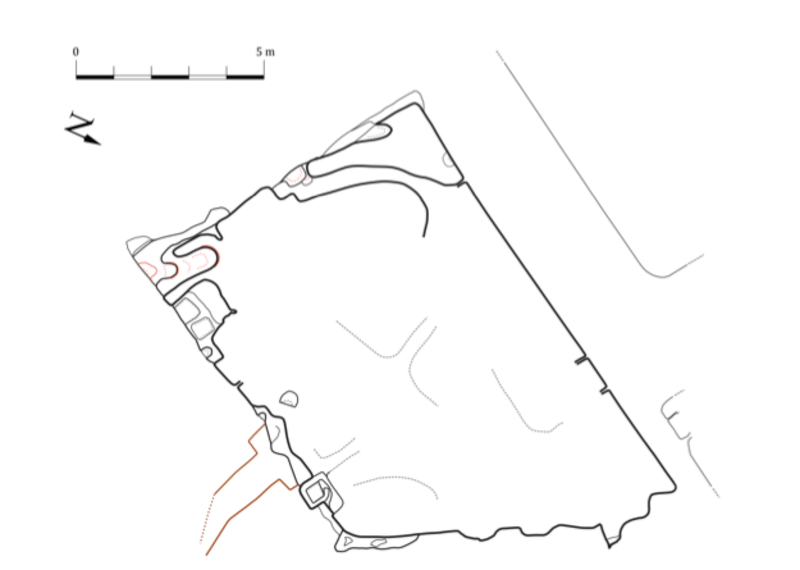 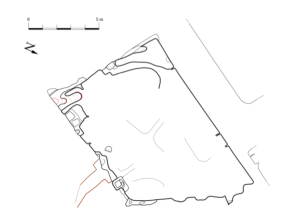 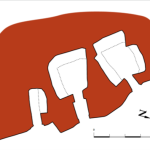 The collaboration with the Regional Park Valle del Treja resulted in the first archaeological guidebook of Narce, with a long chapter focused on the necropolis of La Petrina, using the data from the previous two years. 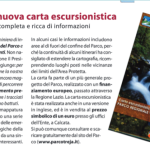 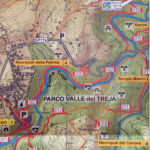 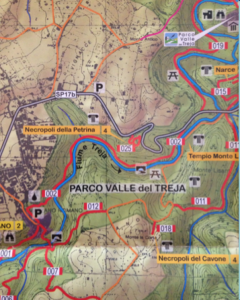 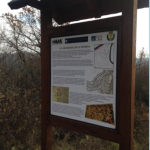 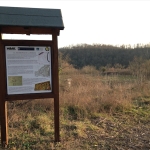 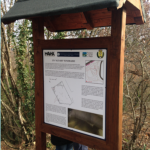 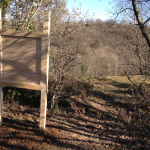 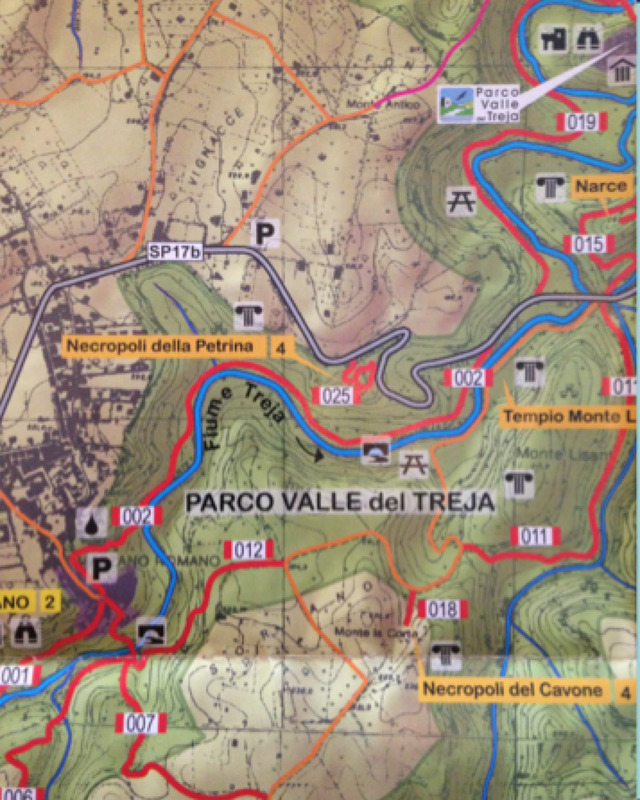 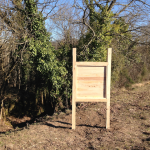 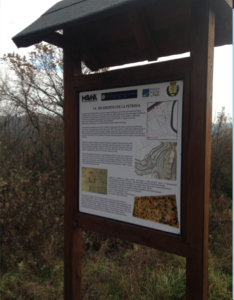 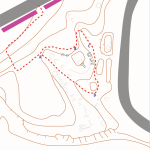 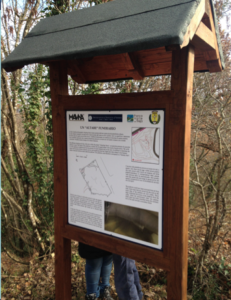 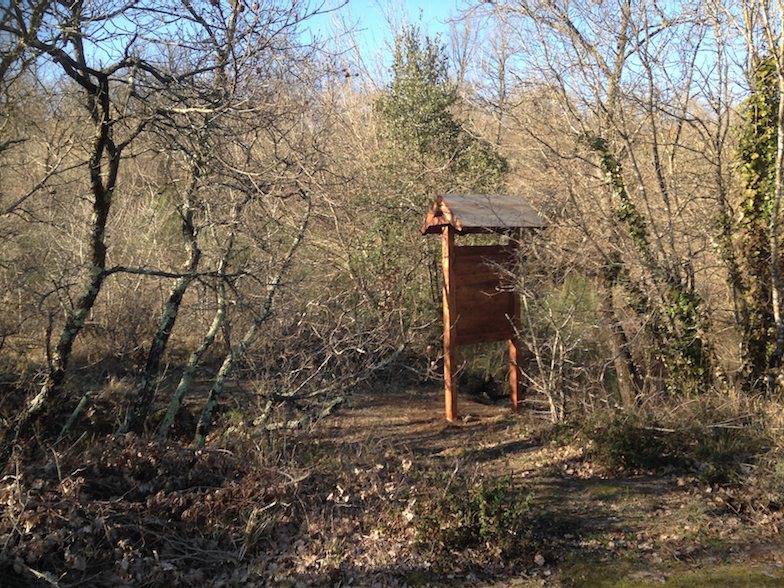 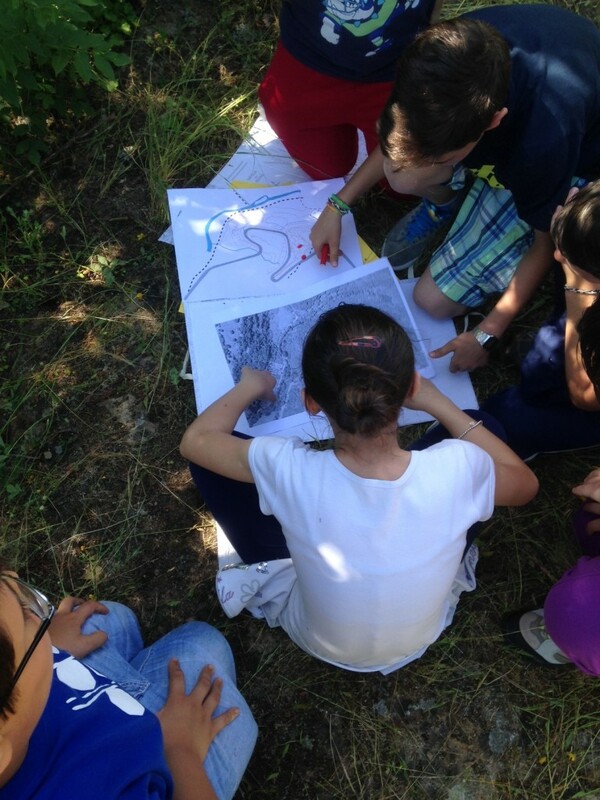 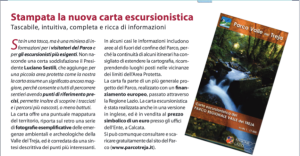 A new map was also prepared and the archaeological trail received now number “25” on the itineraries within the Park. The site was also added on Google maps. 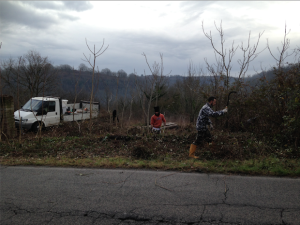 The big weekend of the inauguration arrived and more that 400 people participated to different visits that took place during two days. 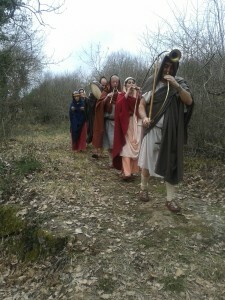 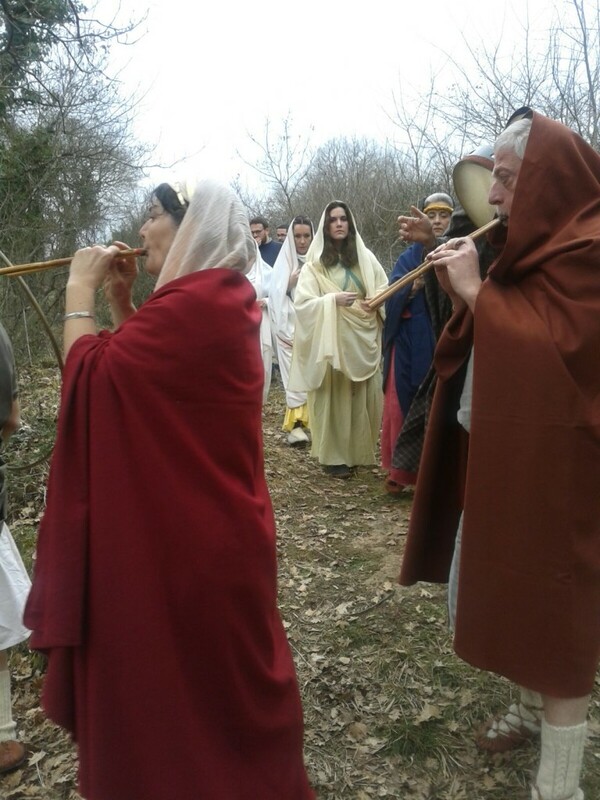 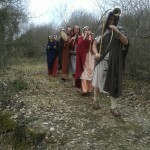 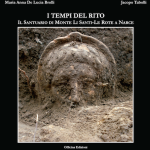 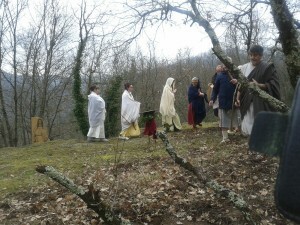 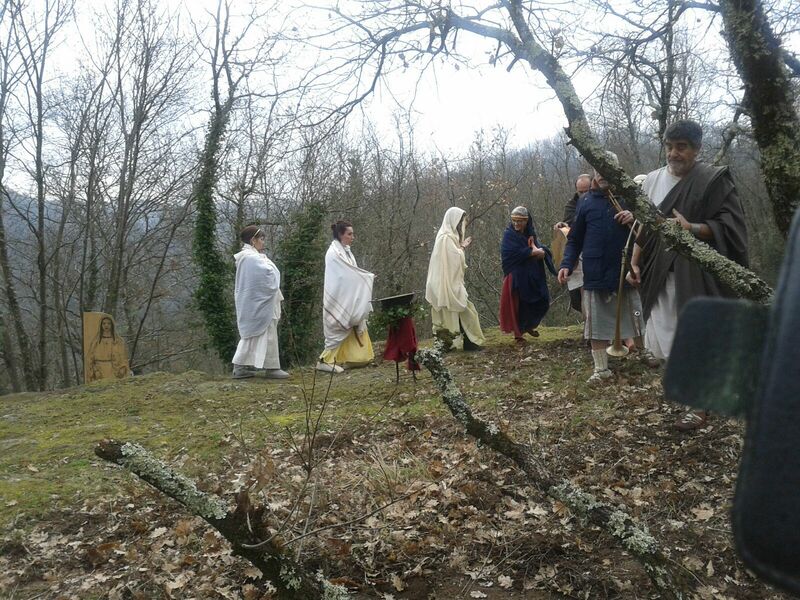 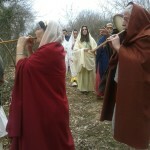 In addition to the narration of the history of the site, from its discovery in June 1890 to the project Adopting Narce, we involved the association “Ludi Scaenici” in the recreation of the funerary procession which in antiquity ascended the funerary road, and reached the altar and the tombs. 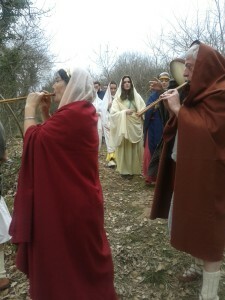 For the first time, it has been possible not only to walk through this funerary landscape, but also to experience it by hearing the ancient music, echoing along the funerary road. 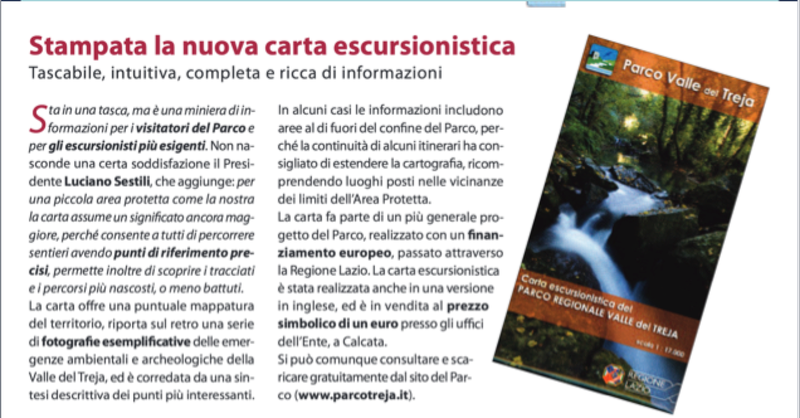 The great success of the event appeared also on regional and national newspapers. 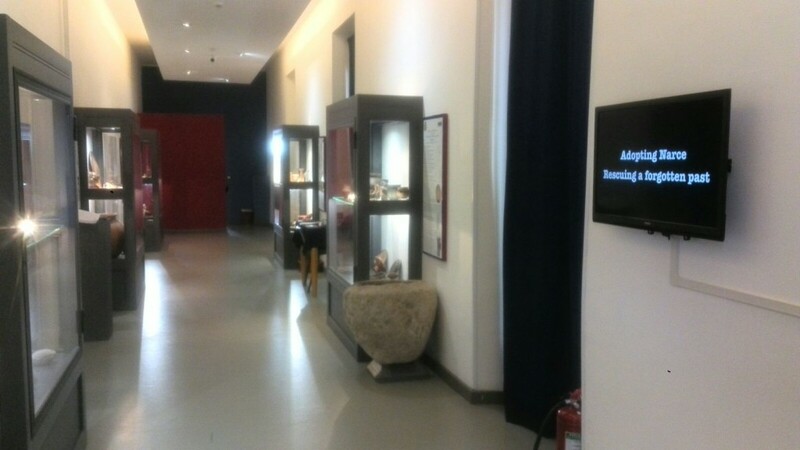 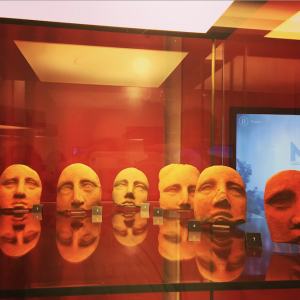 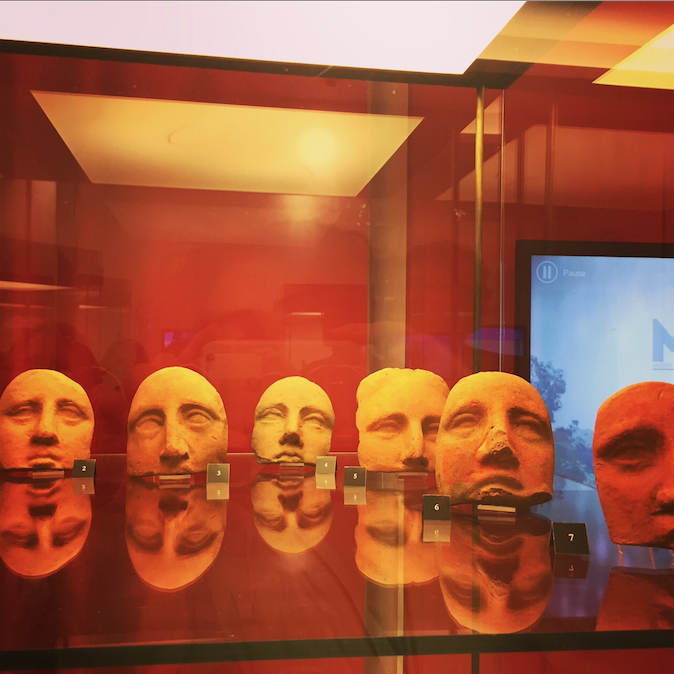 The final video of the project (displayed also inside MAVNA) narrates the two-year project. 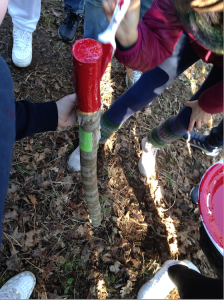 And this is where our projects ends. The necropolis of La Petrina has been transformed, from an abandoned place, devastated by tomb looters and used mainly as a garbage dump, to an archaeological park managed by the local community. 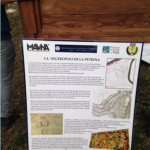 The Project Adopting Narce, funded by the Site Preservation Grant of the Archaeological Institute of America, gave us the opportunity to do good archaeology, by helping a community to rediscover its identity, to protect its part and to wish for a better future.